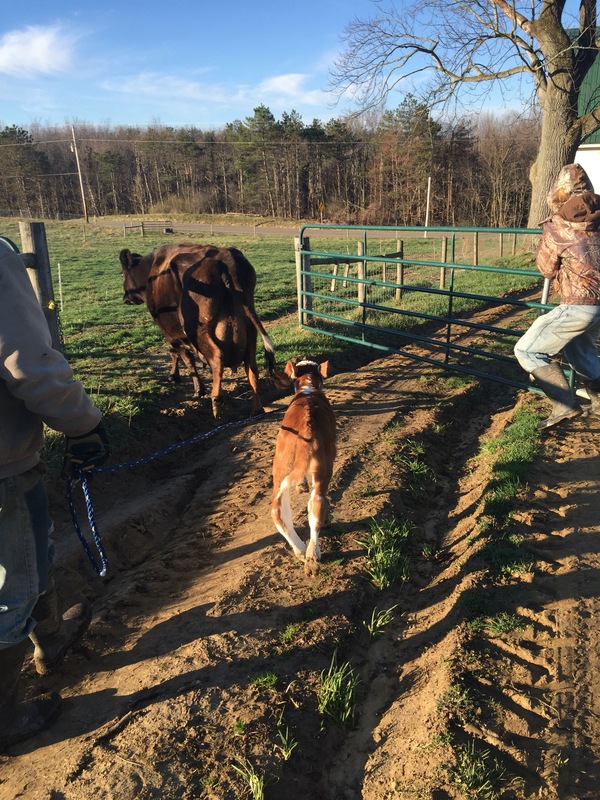 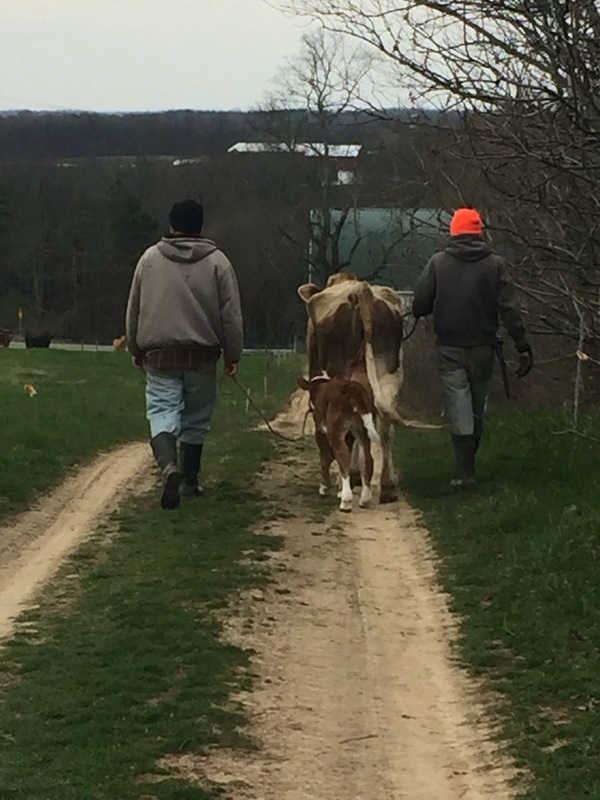 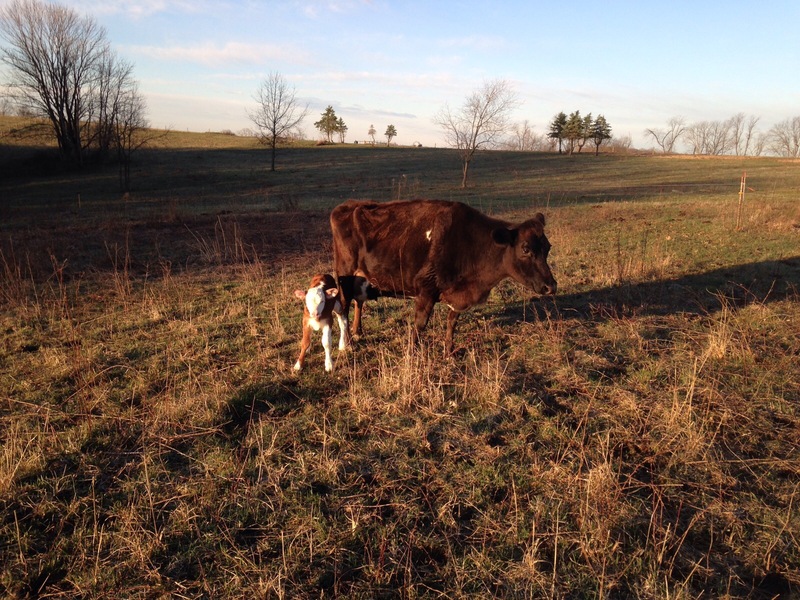 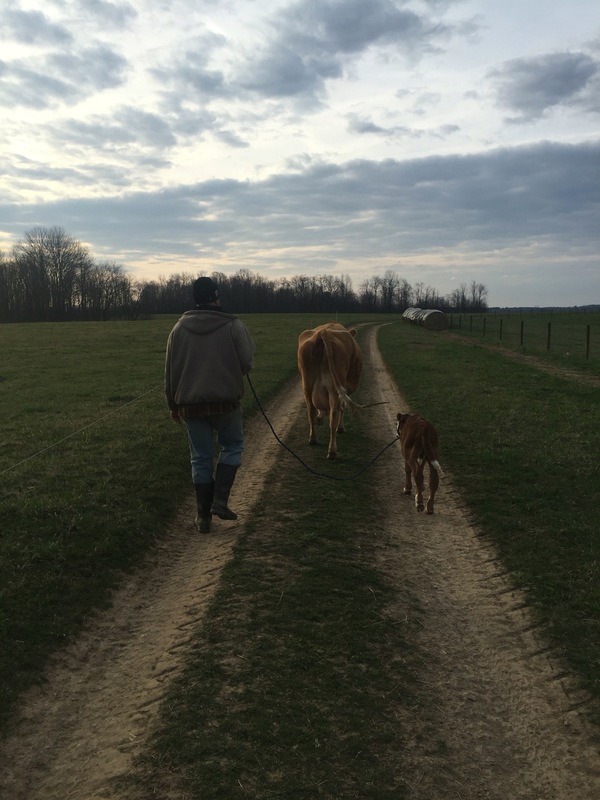 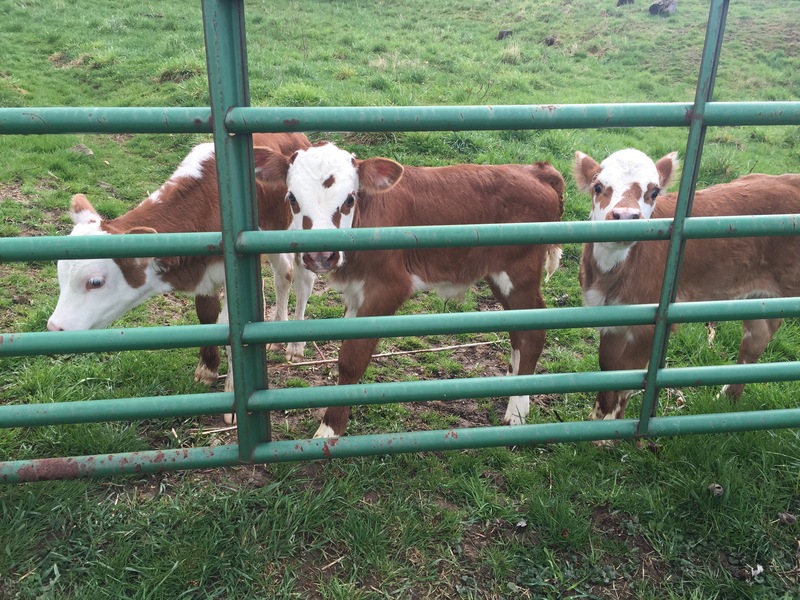 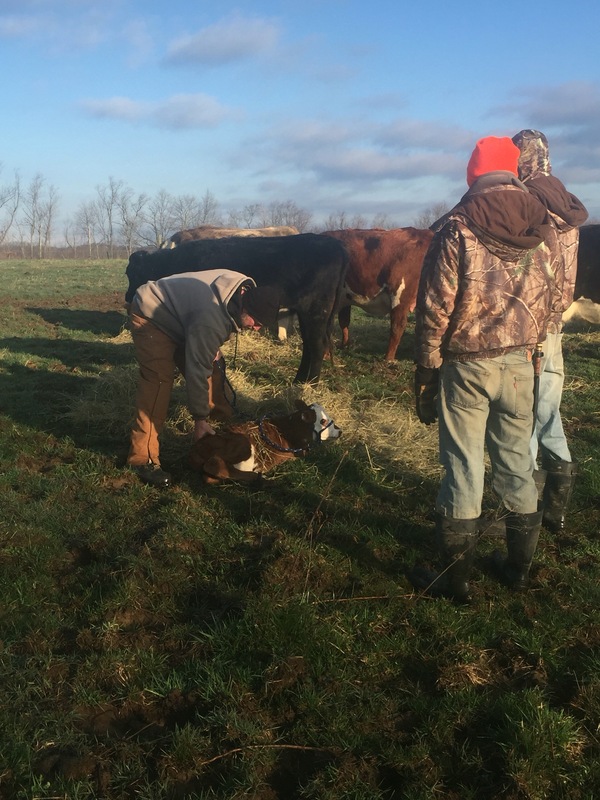 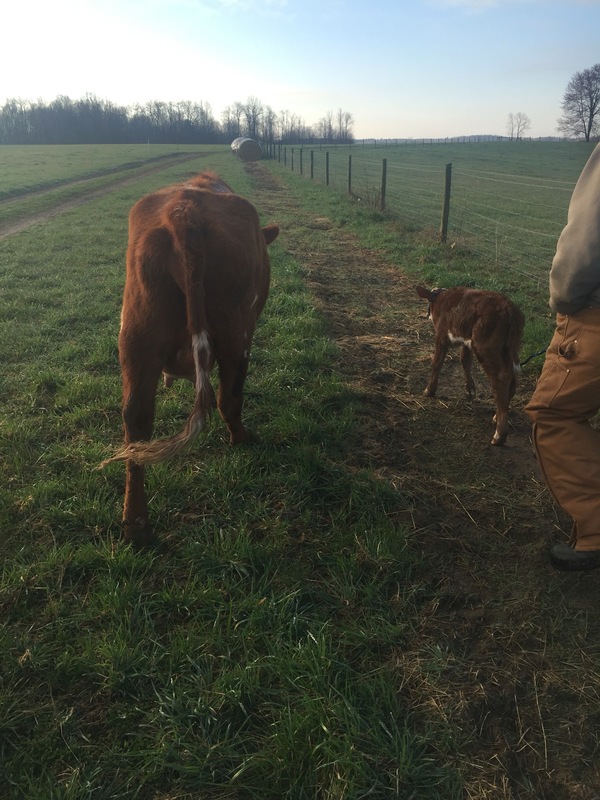 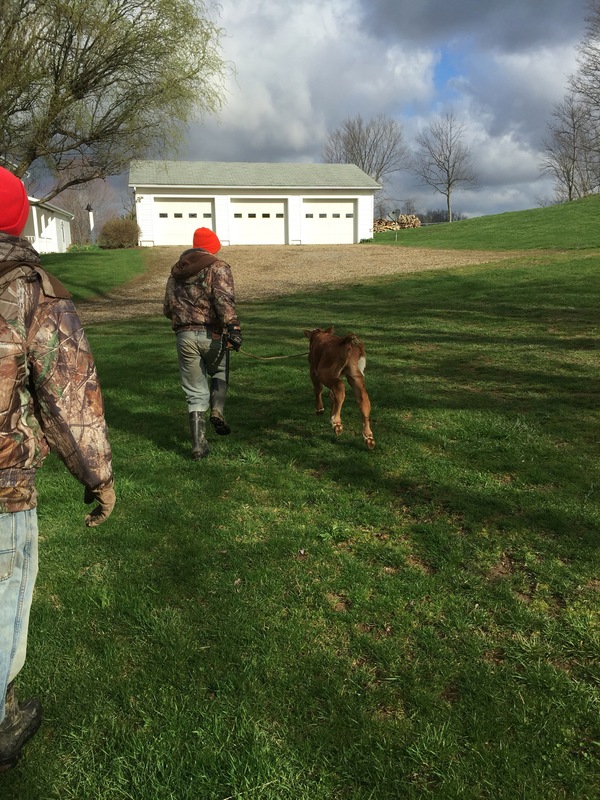 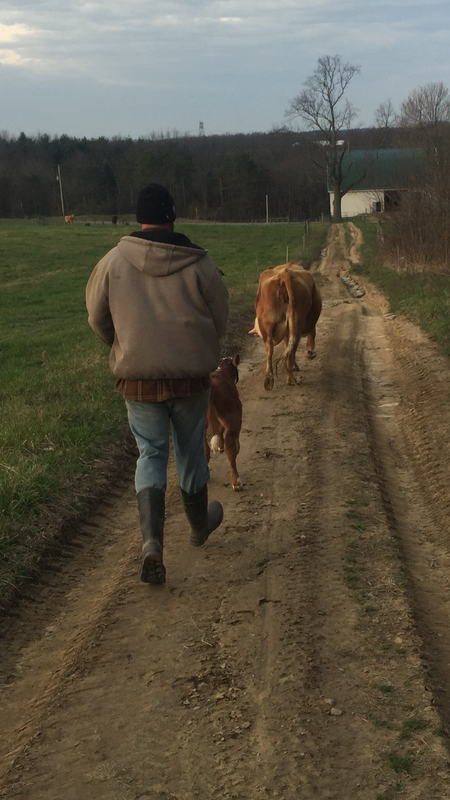 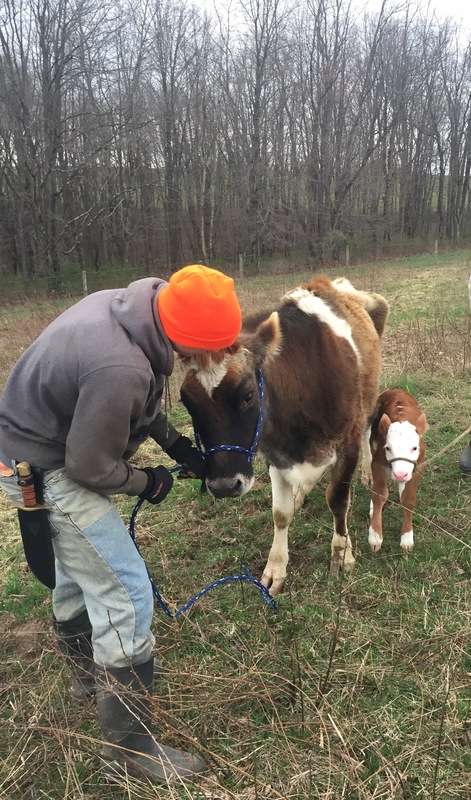 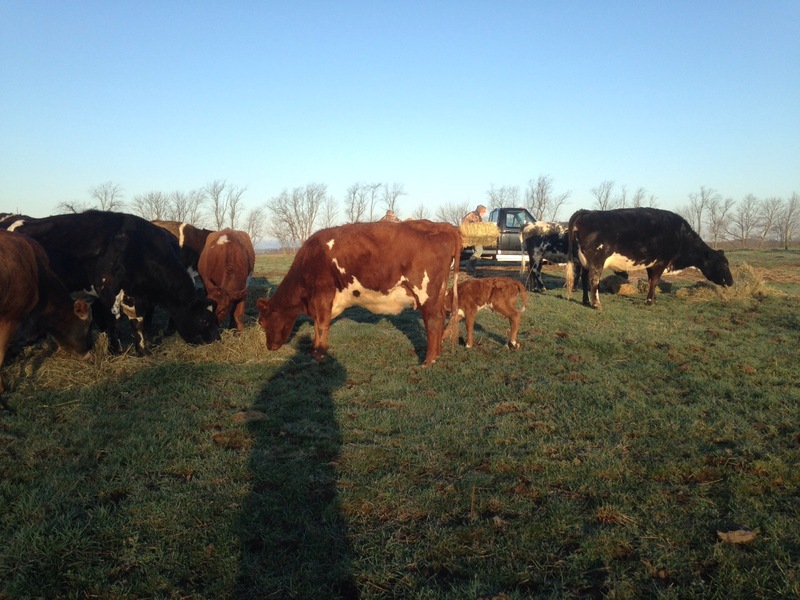 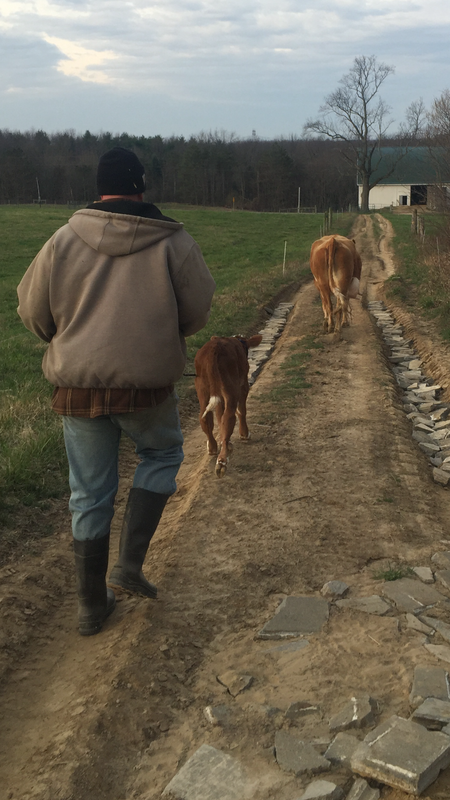 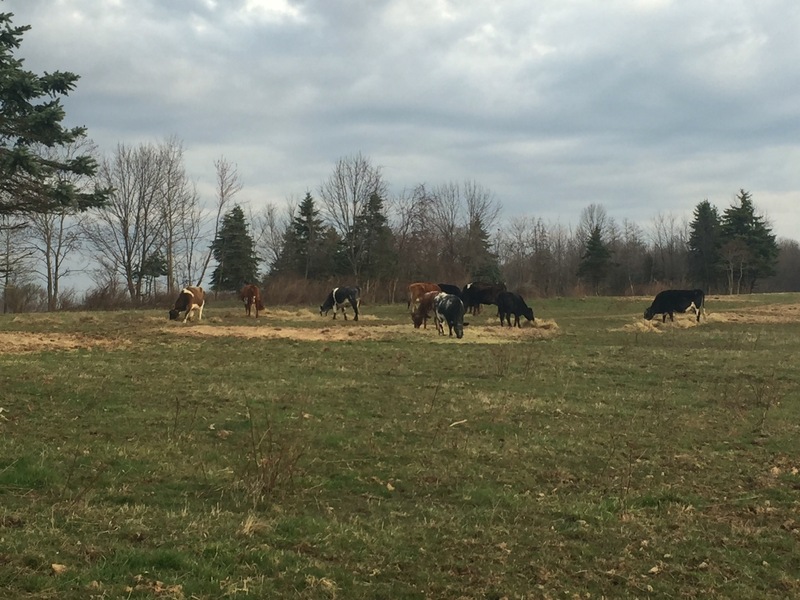 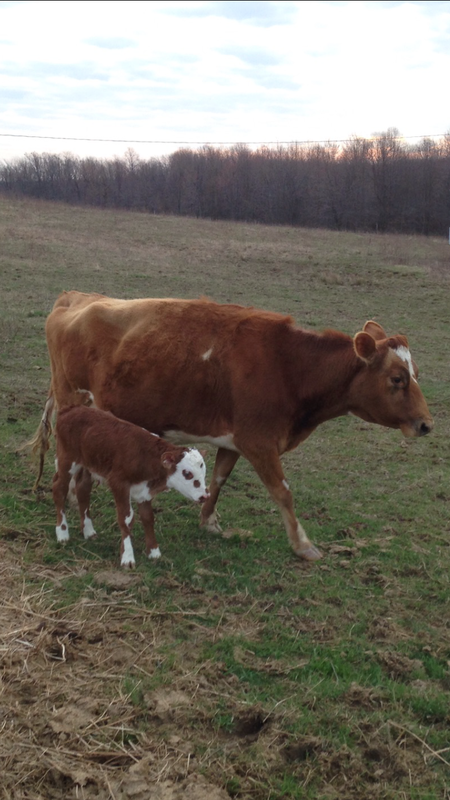 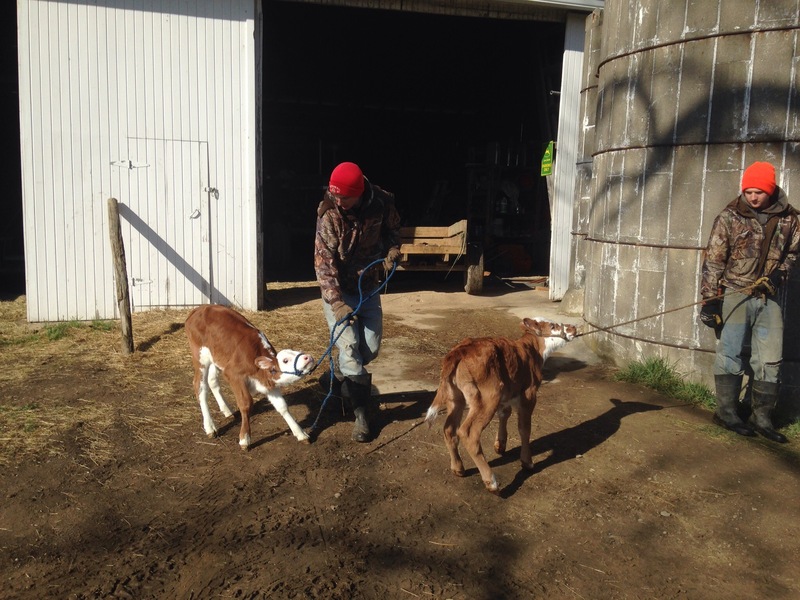 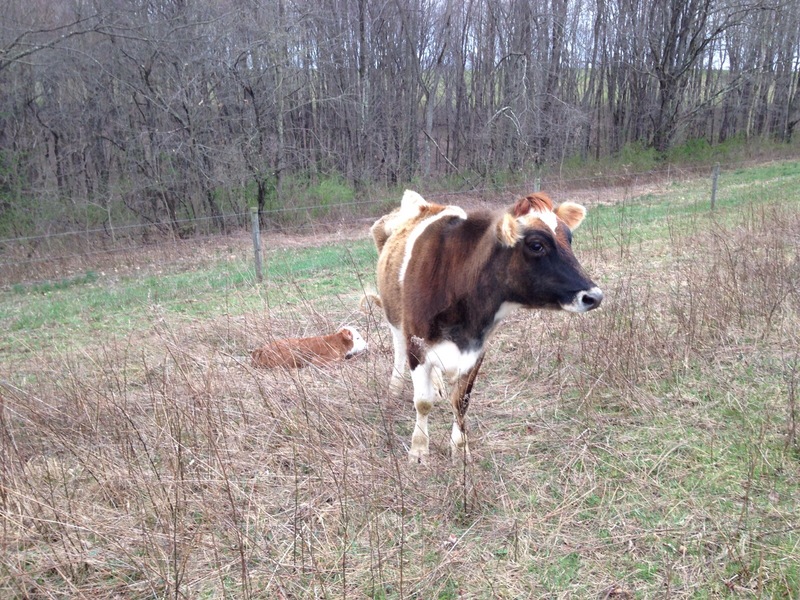 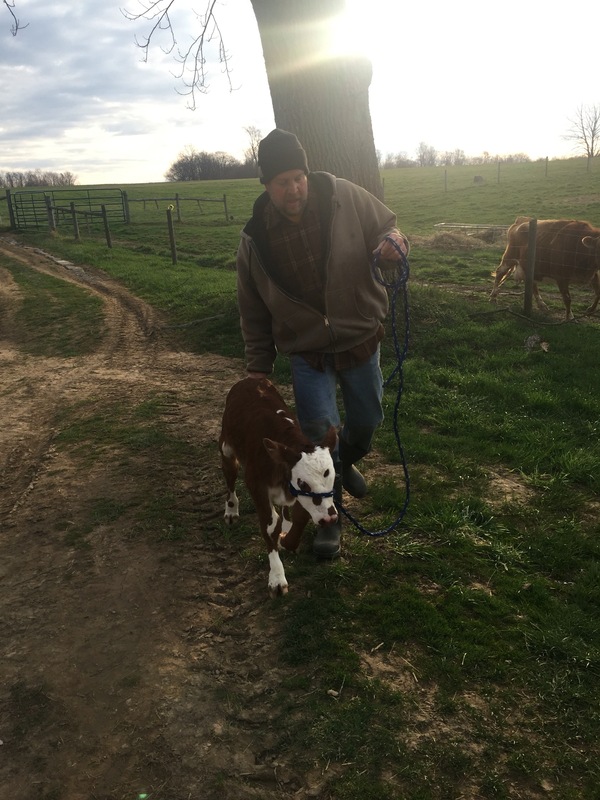 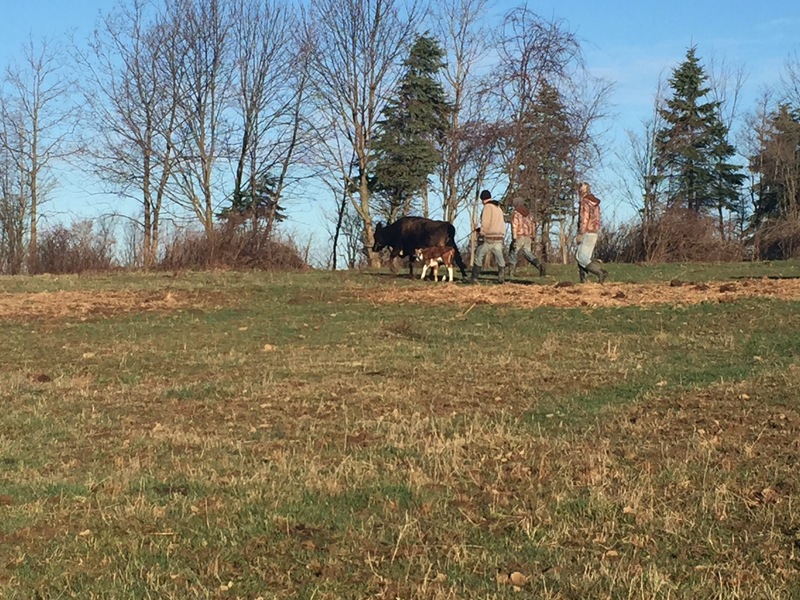 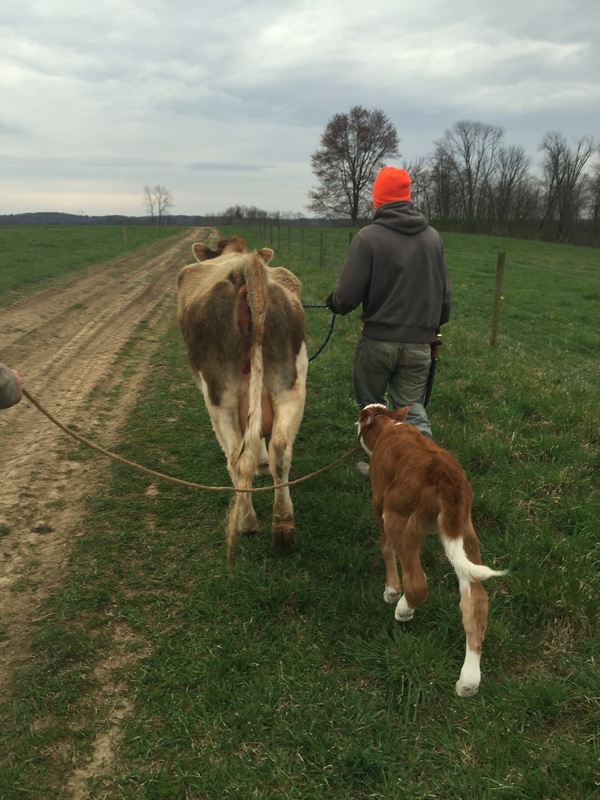 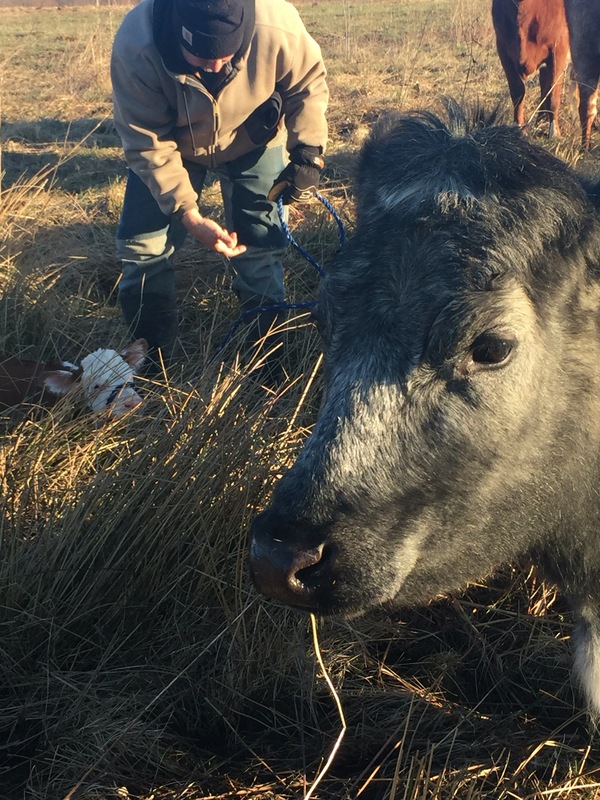 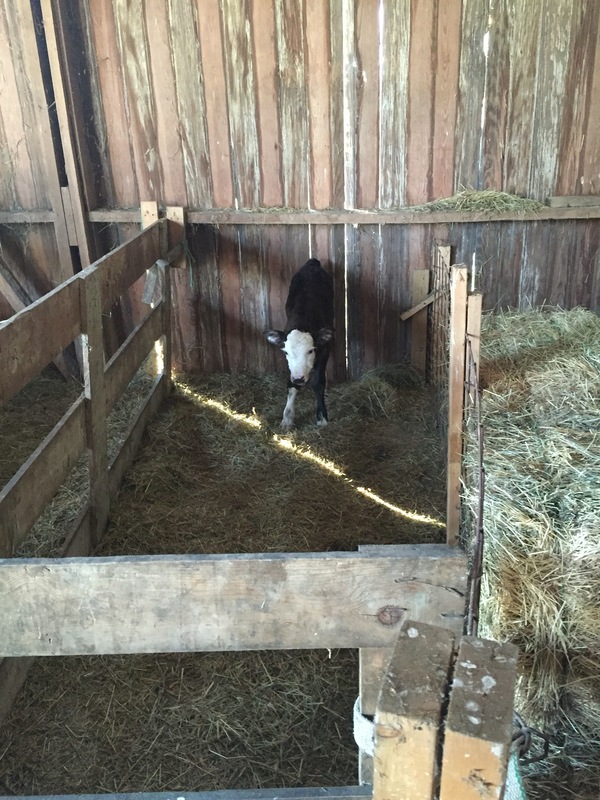 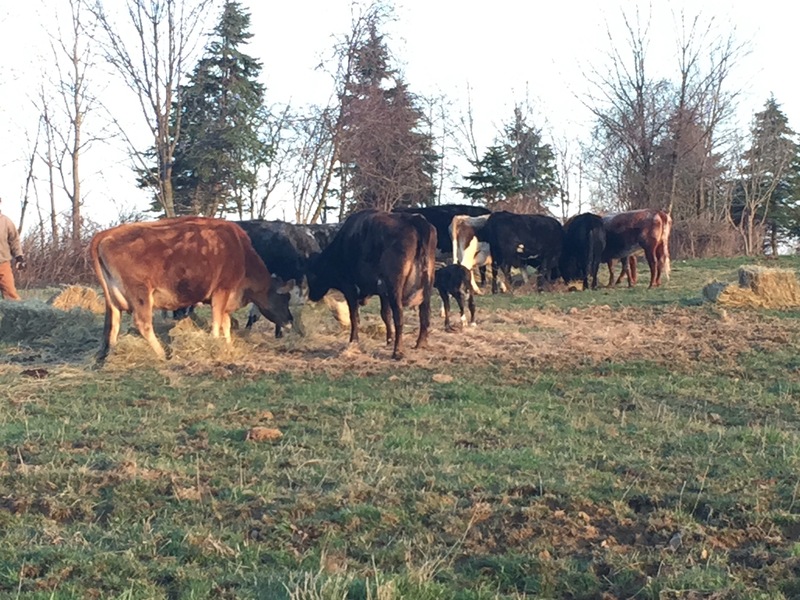 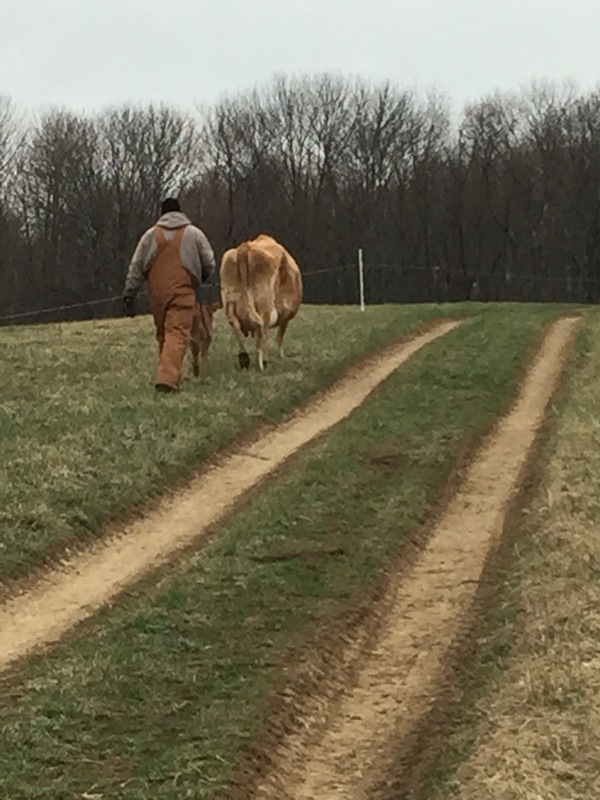 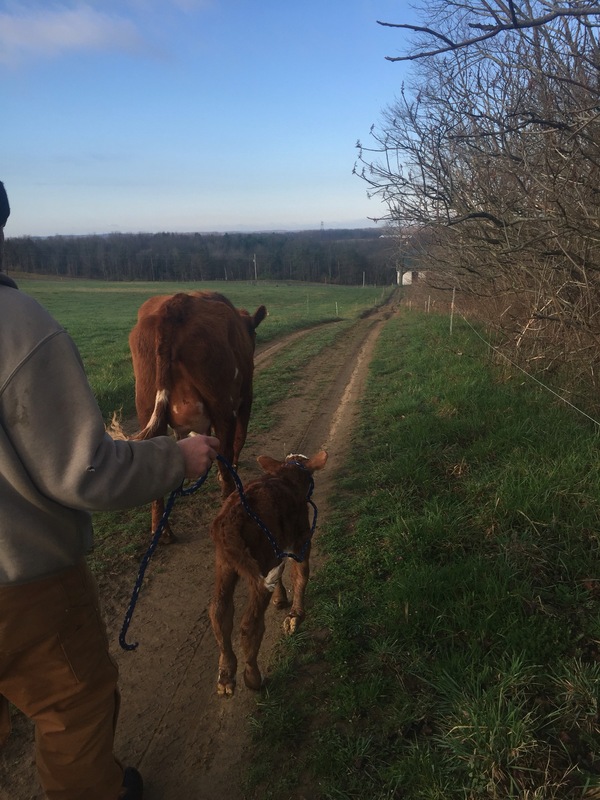 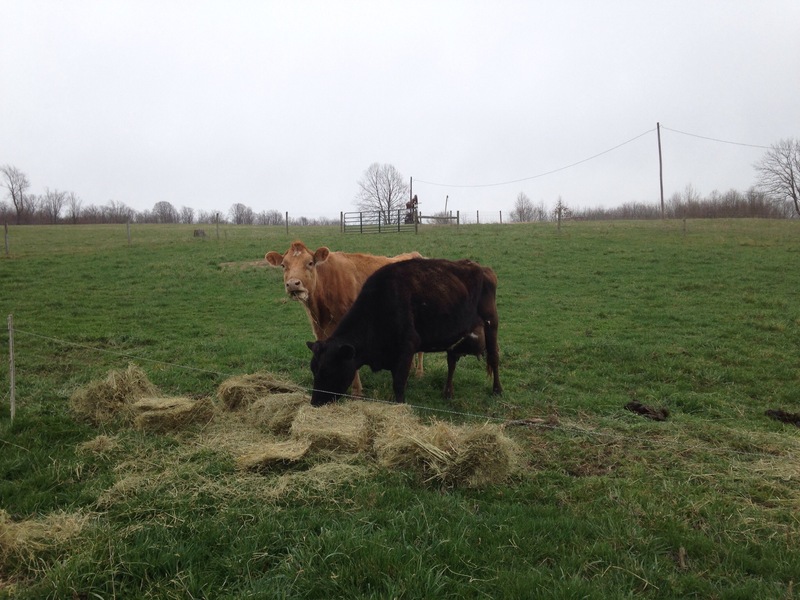 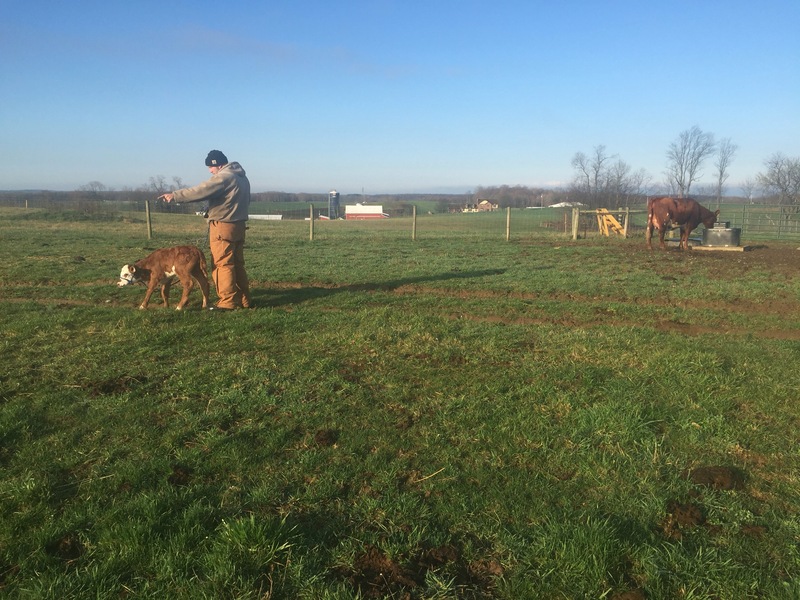 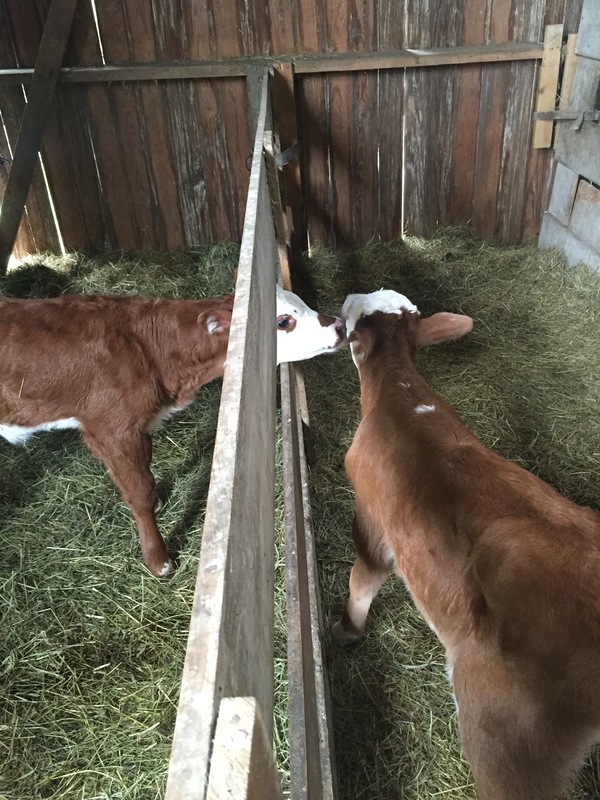 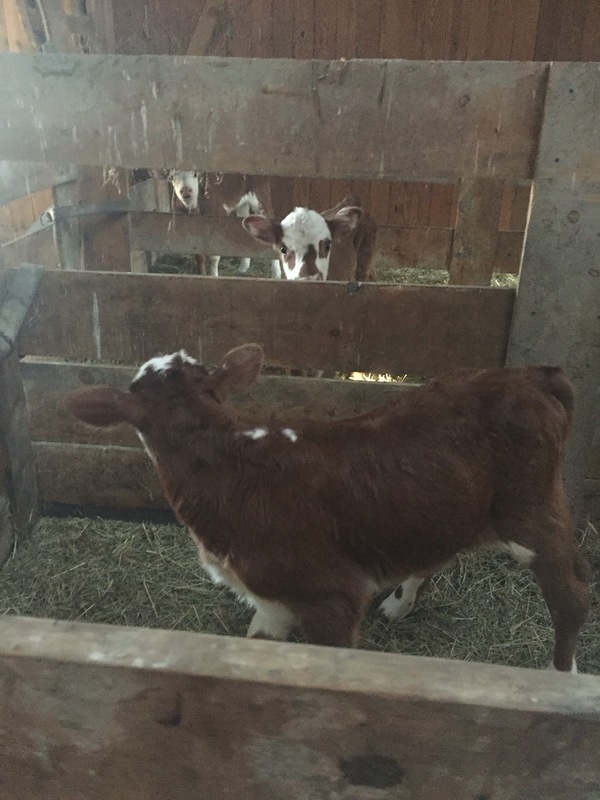 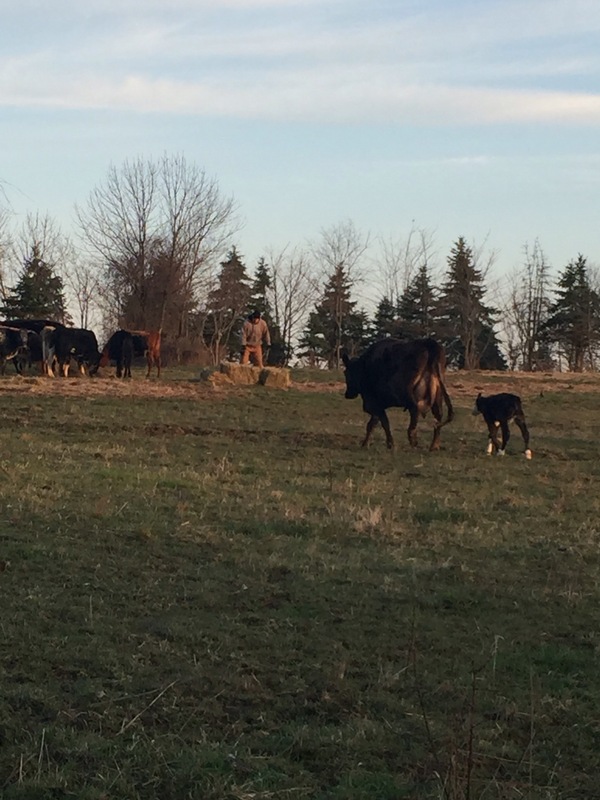 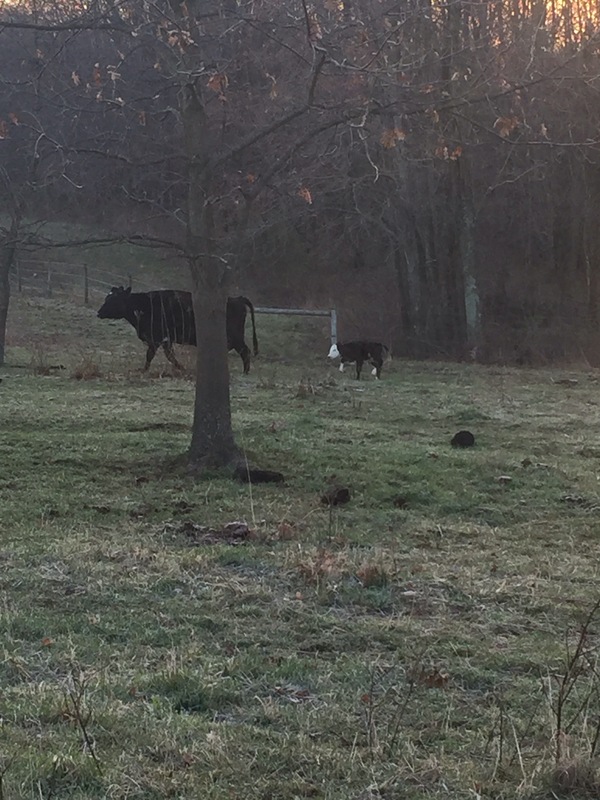 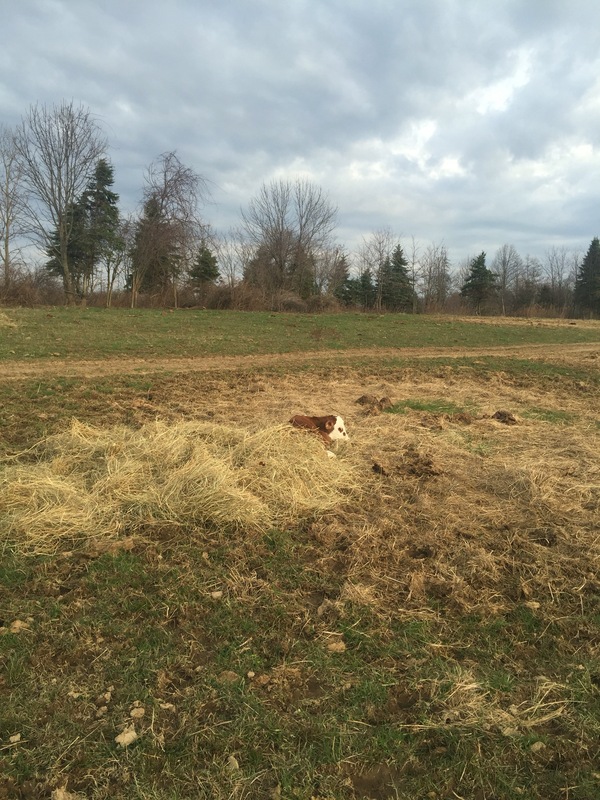 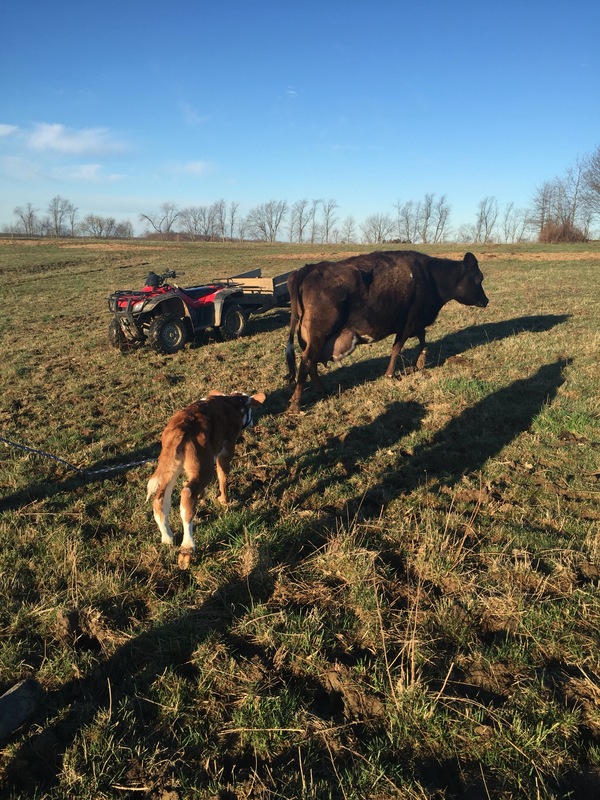 Mike and the boys were greeted by Sarge and her first calf this morning! 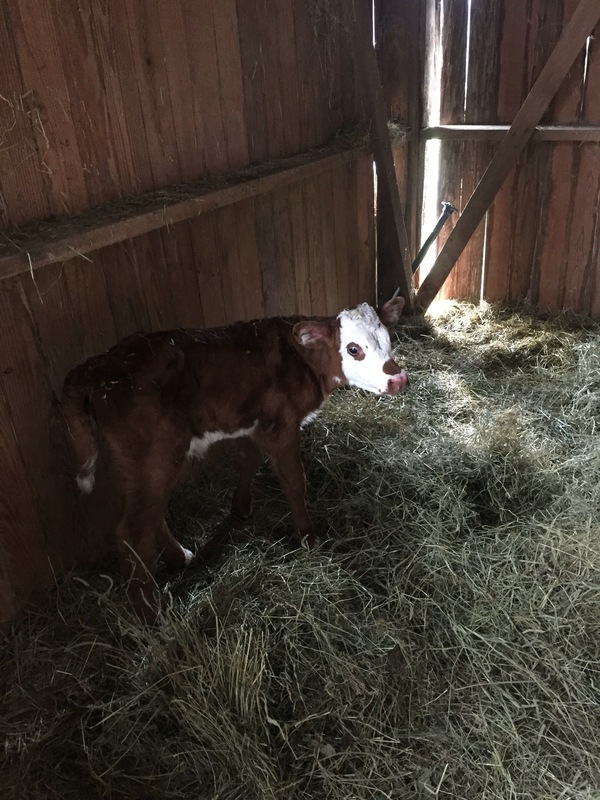 She had a girl… Her name is Natasha (think: Avengers/Black Widow😉). 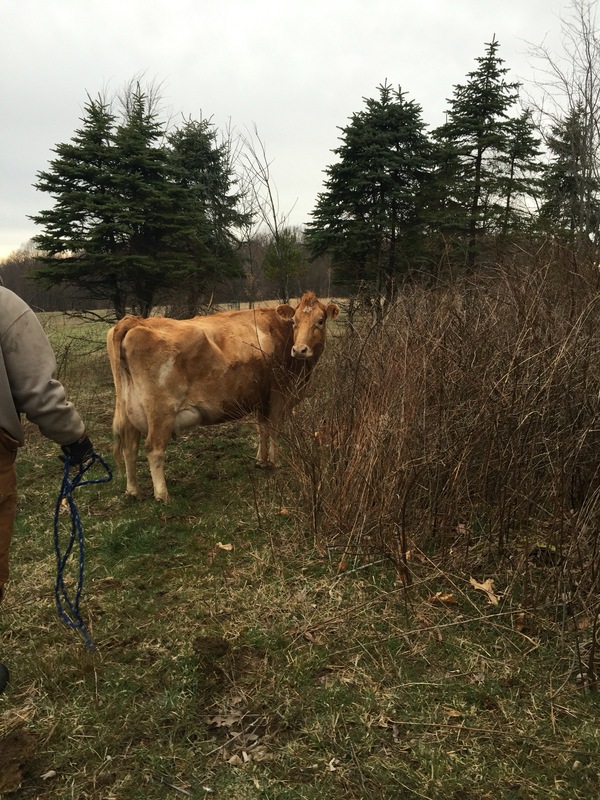 Natasha also had to wait for us to move Babra, Peggy, and Clark next door before she could have her own private pen. 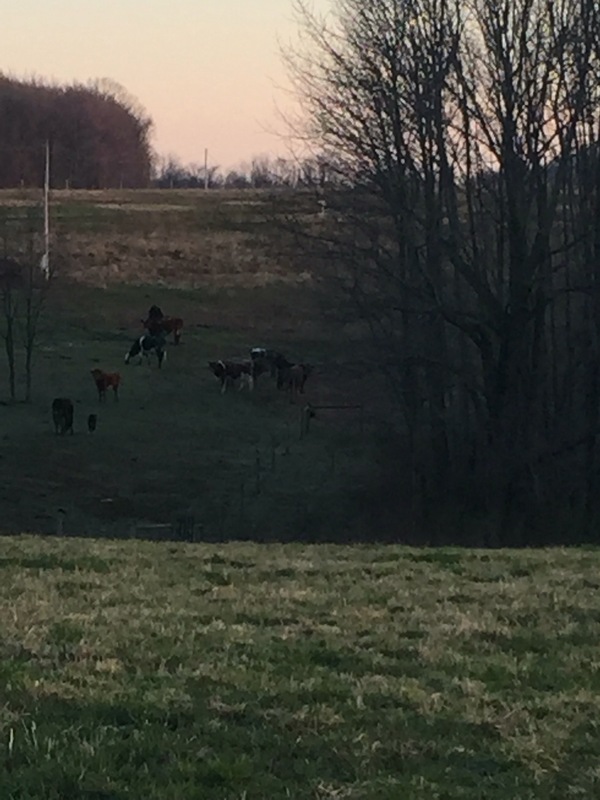 This entry was posted in Family, Farm, Nature on March 29, 2016 by Dawn Roberts. 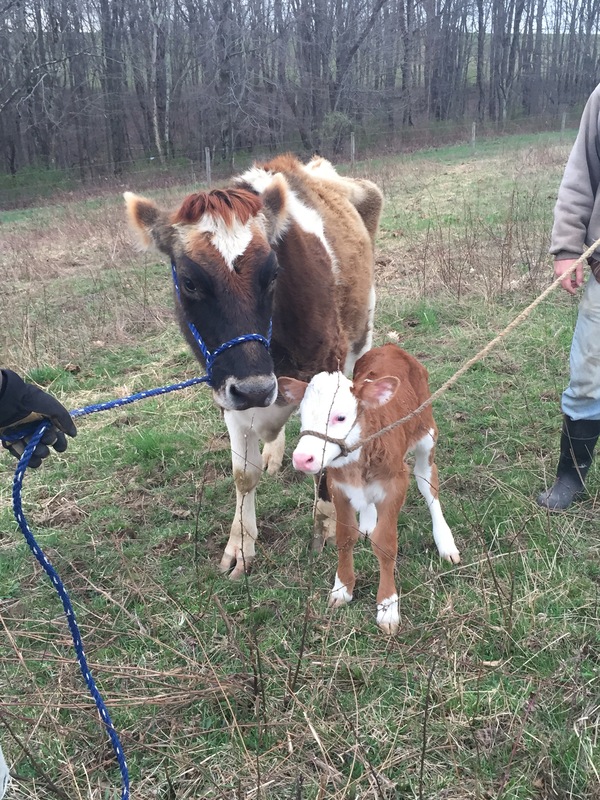 This entry was posted in Family, Farm, Nature on March 25, 2016 by Dawn Roberts. 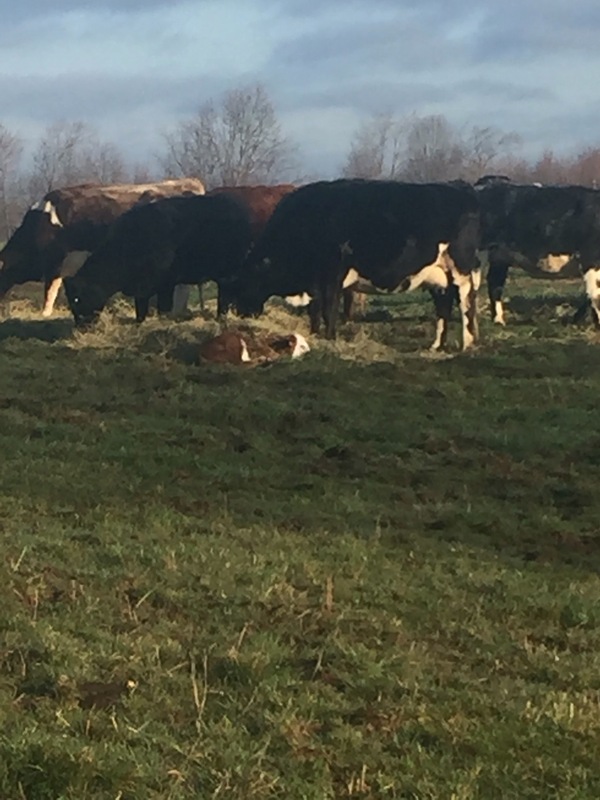 See Cookie laying there? 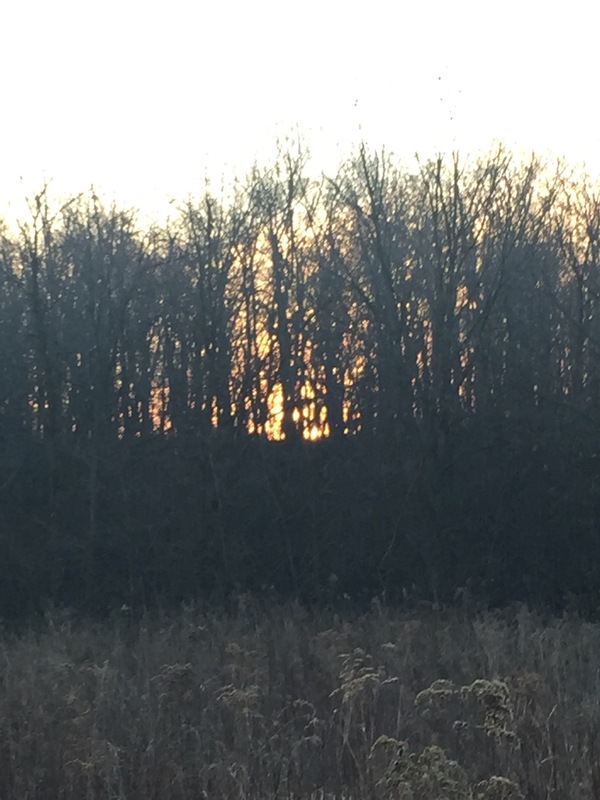 Here’s where the answered prayer comes in… Friday I prayed the Lord would give us the wisdom we need for each scenario. 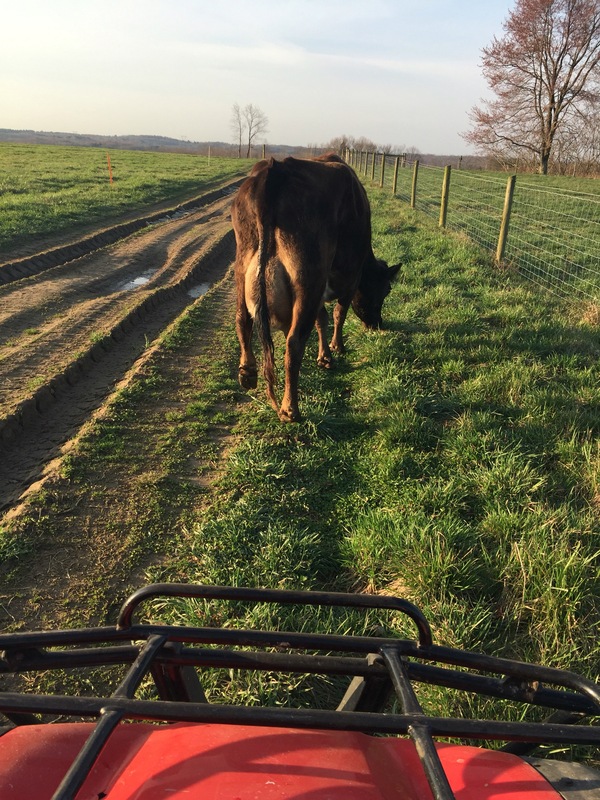 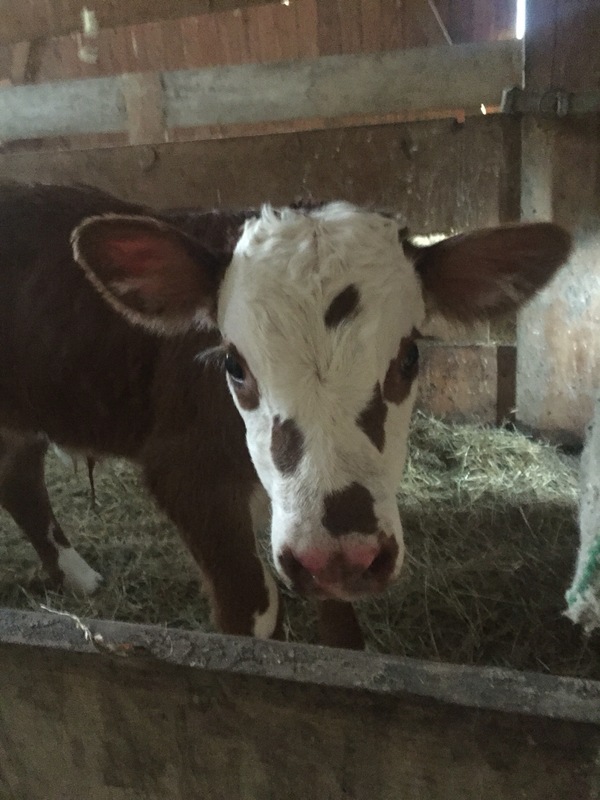 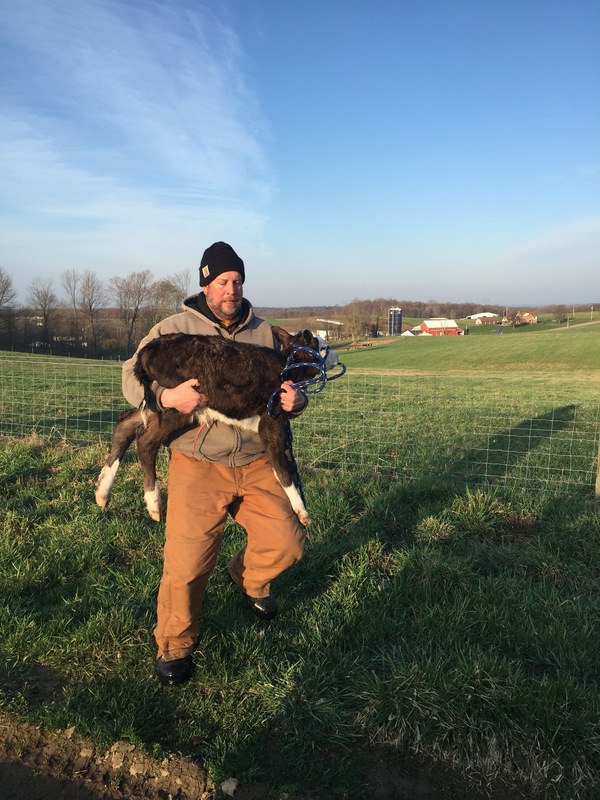 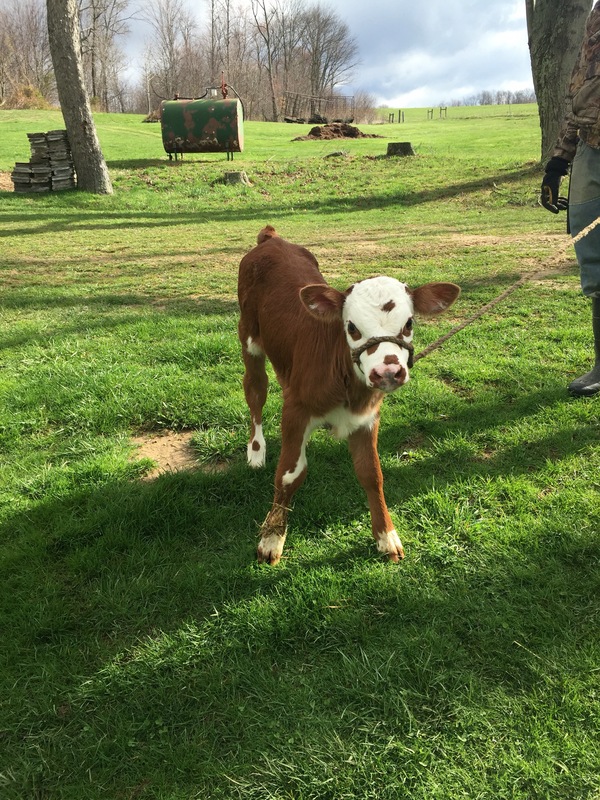 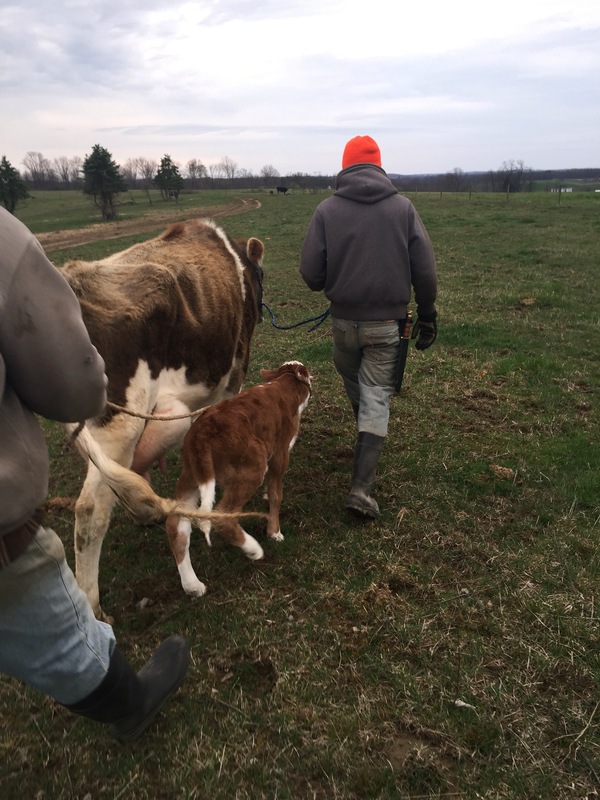 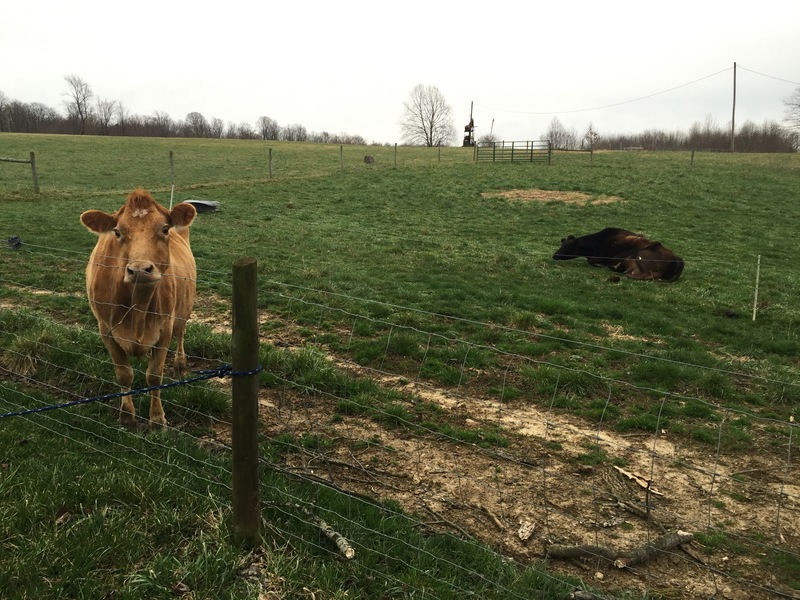 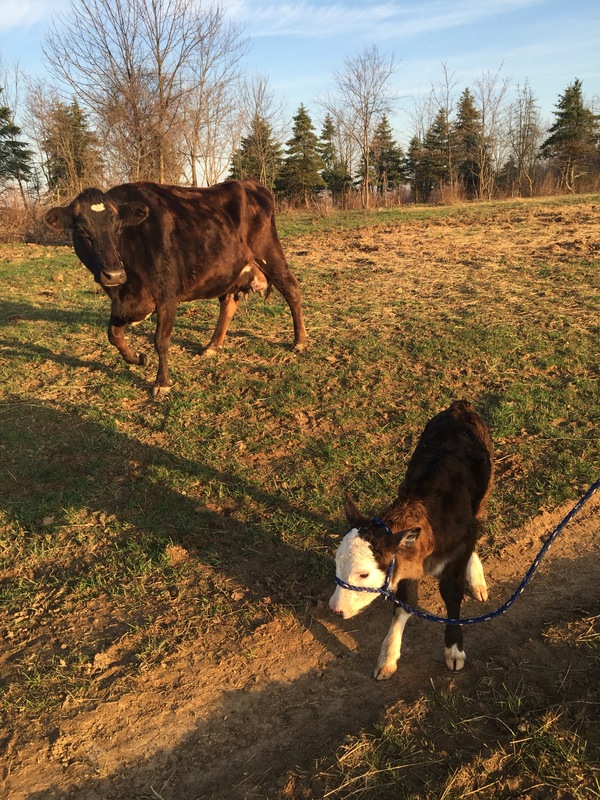 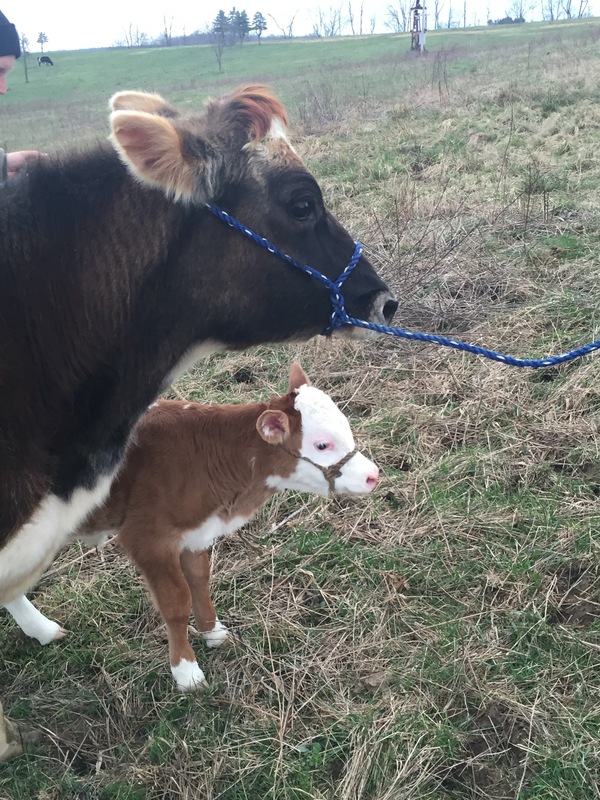 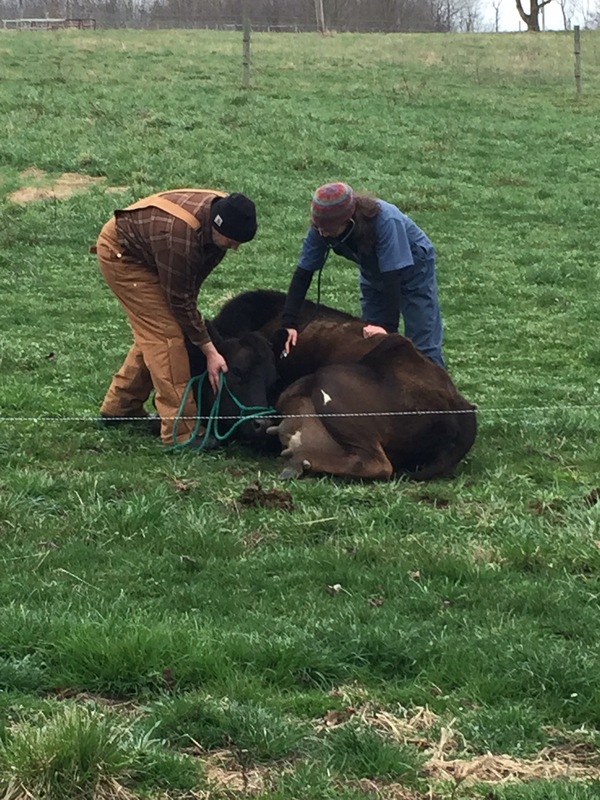 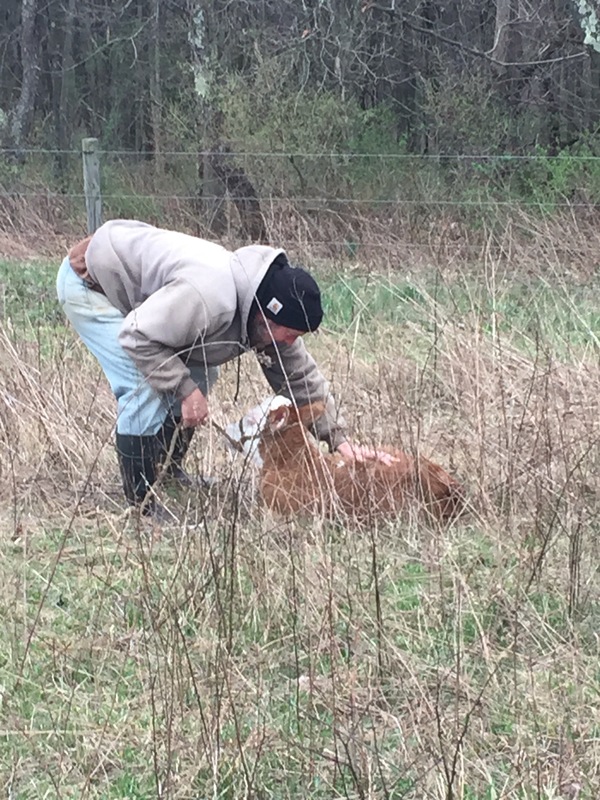 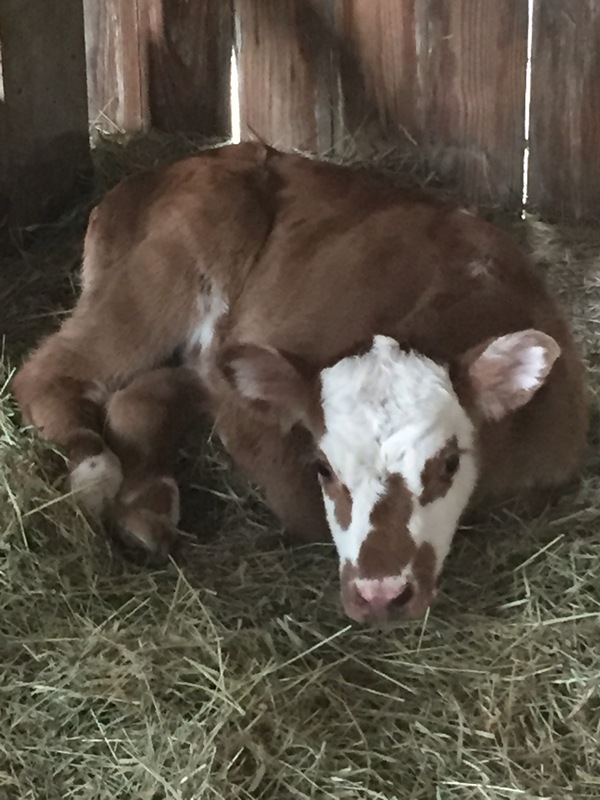 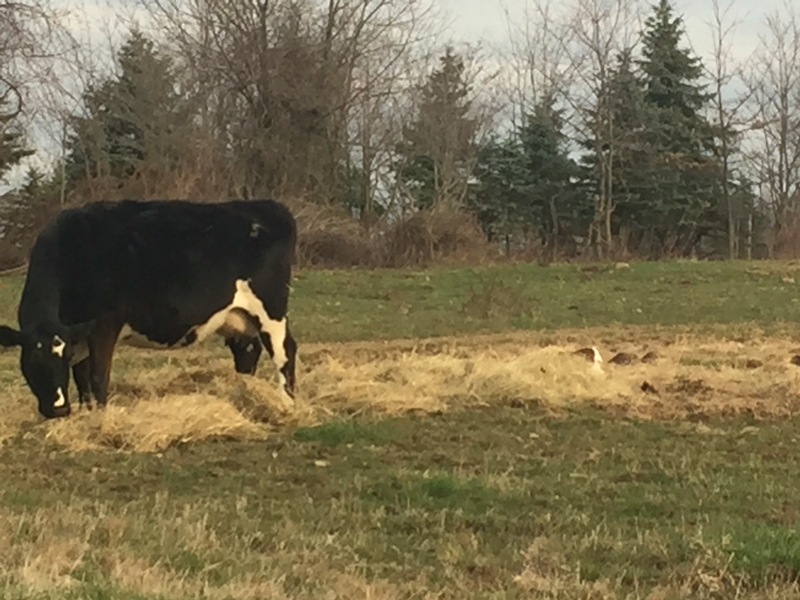 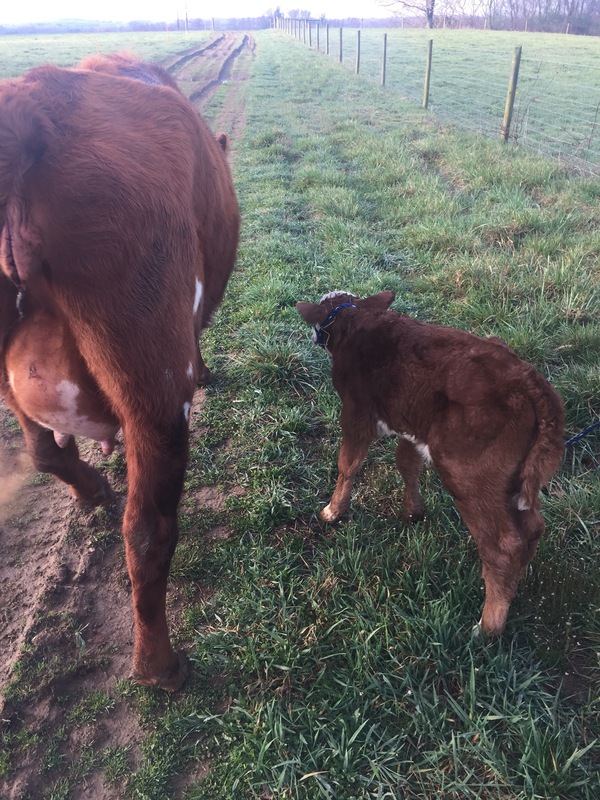 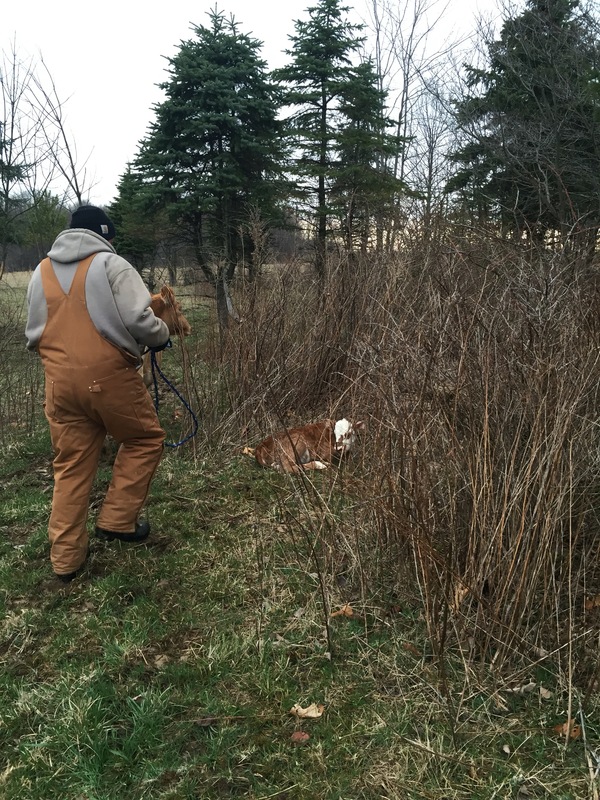 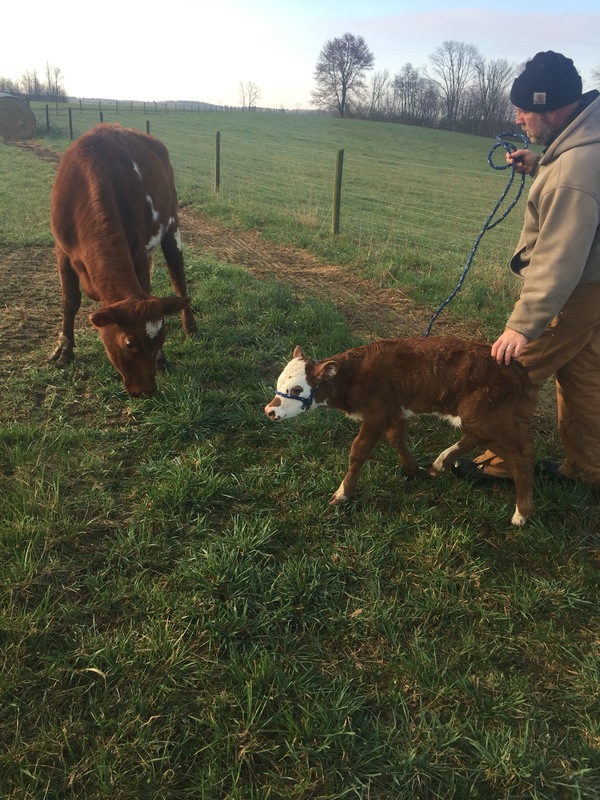 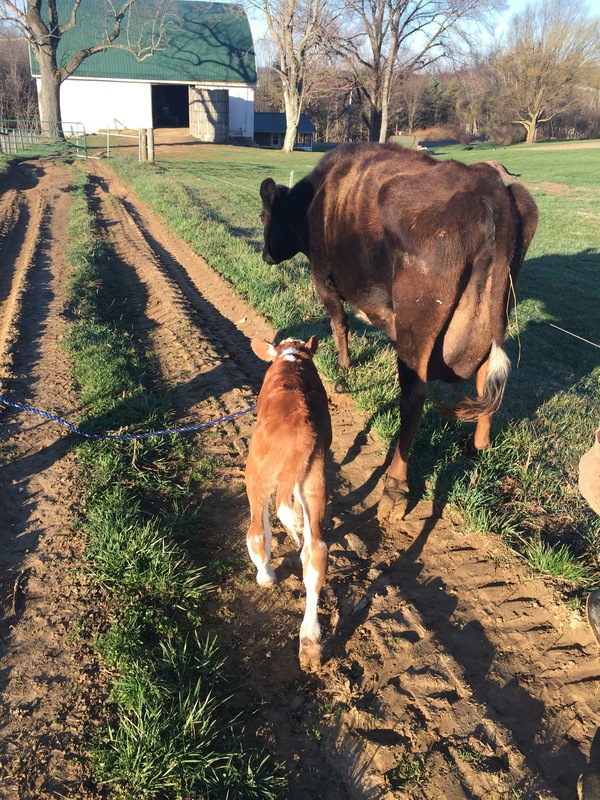 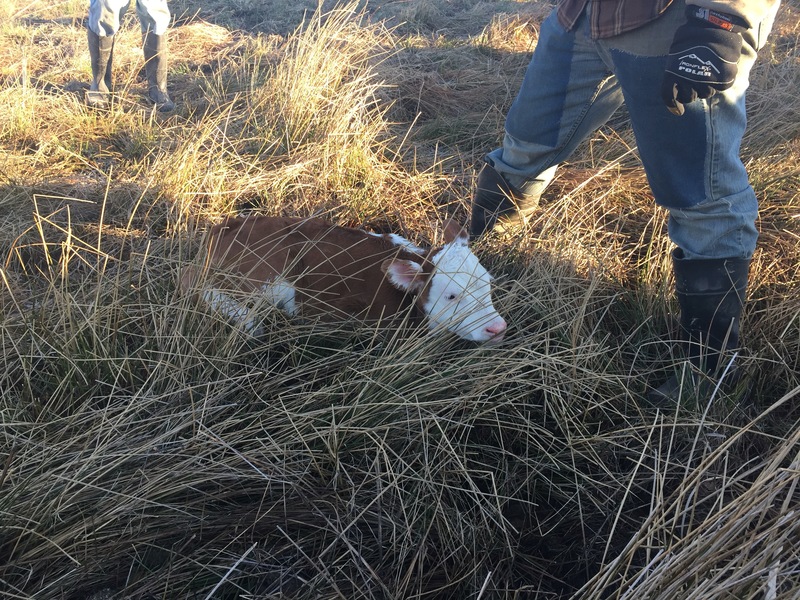 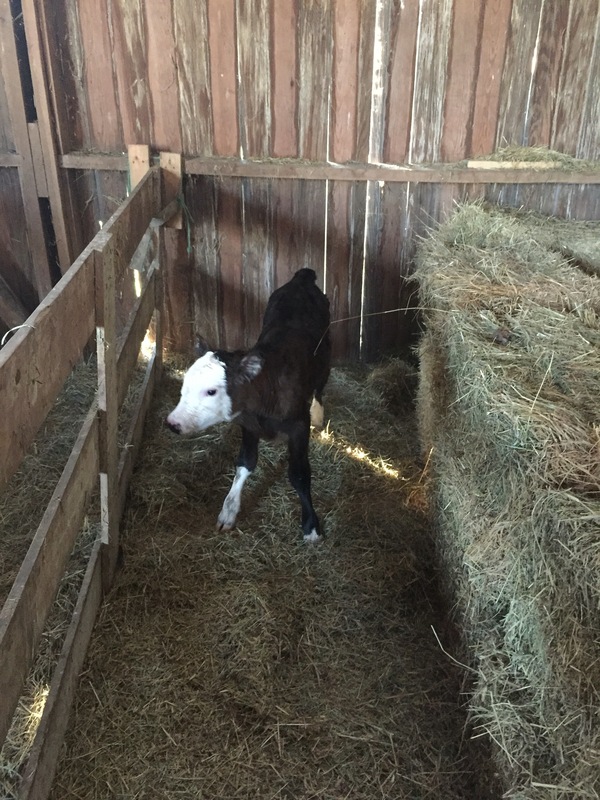 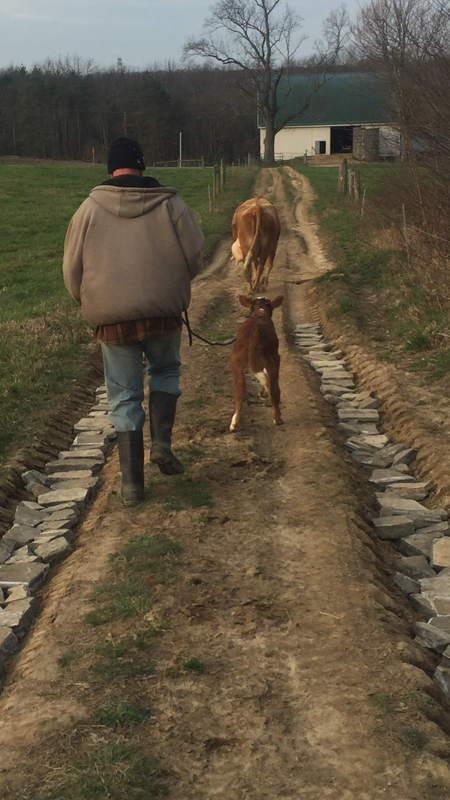 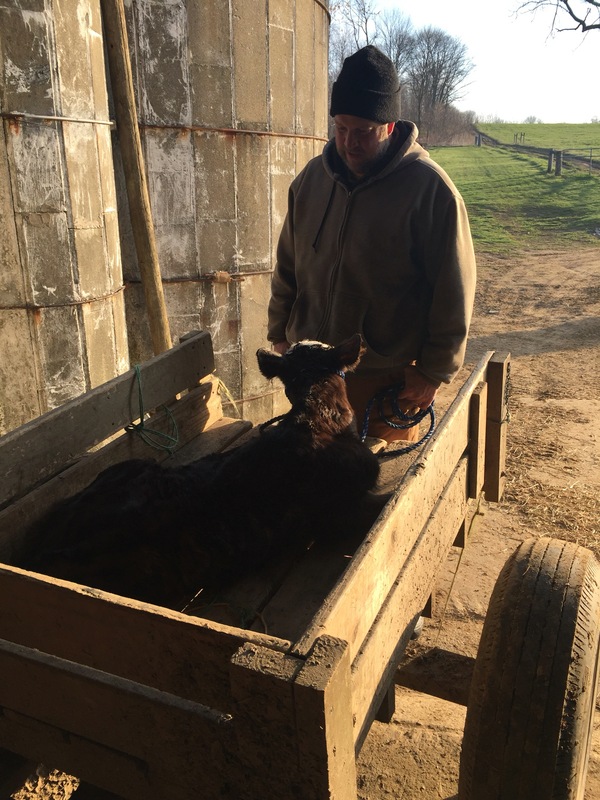 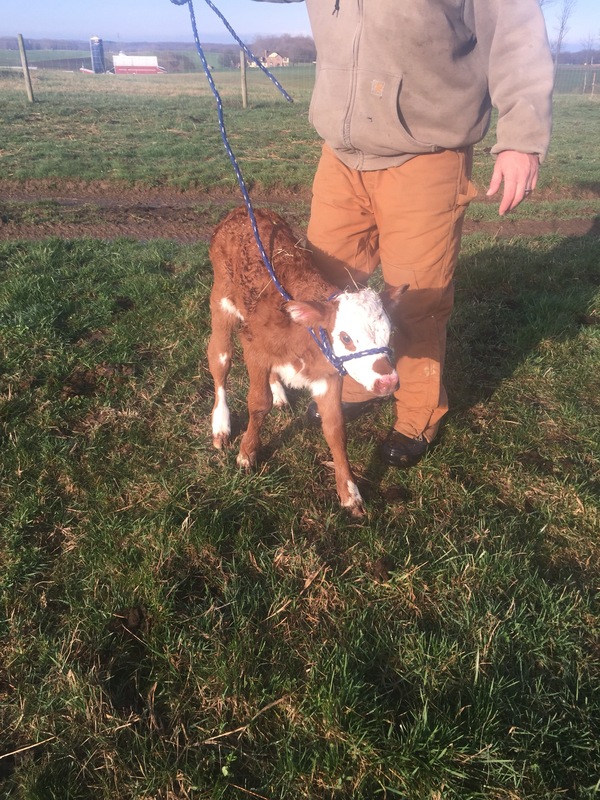 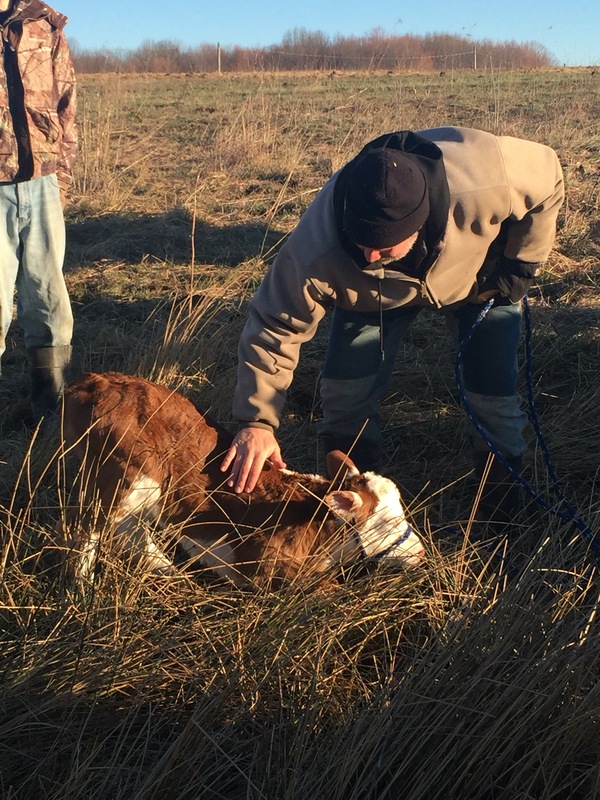 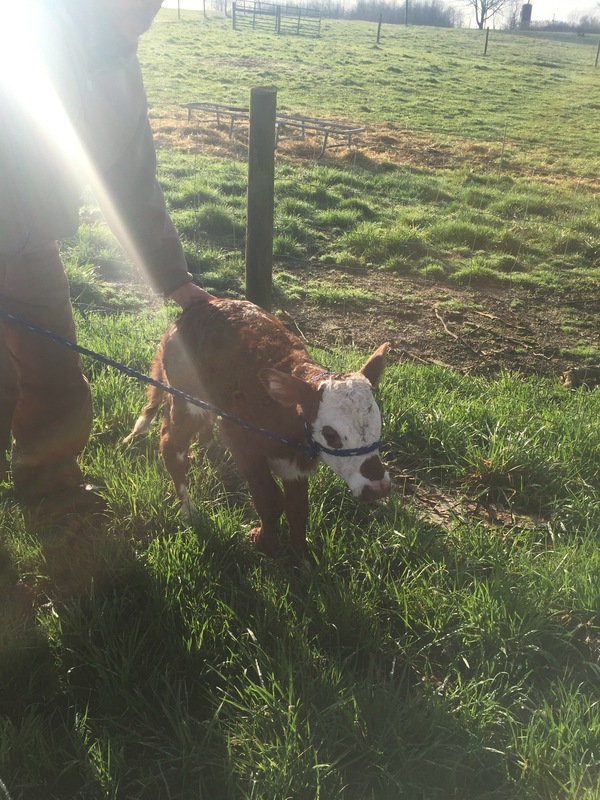 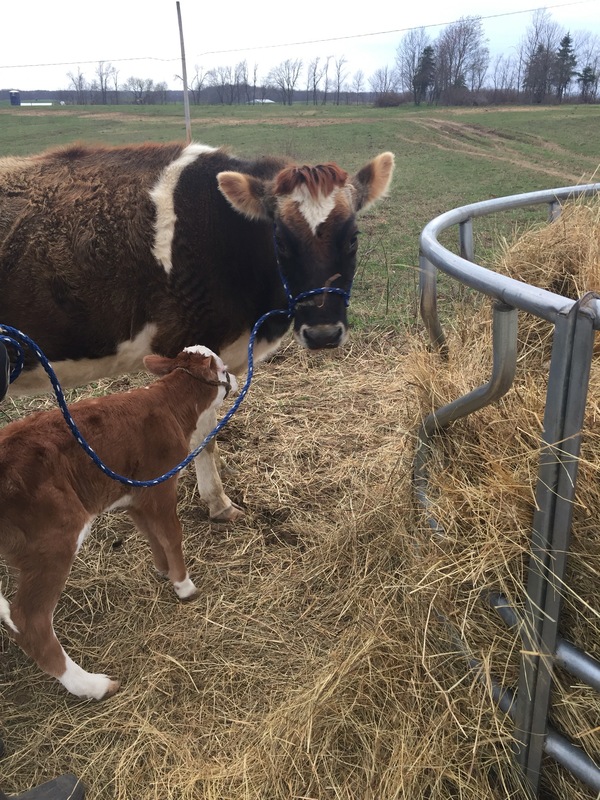 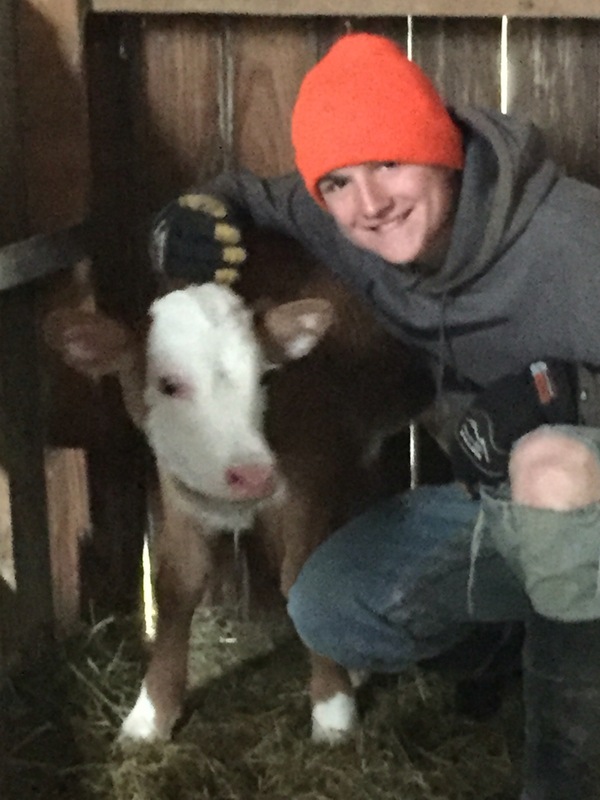 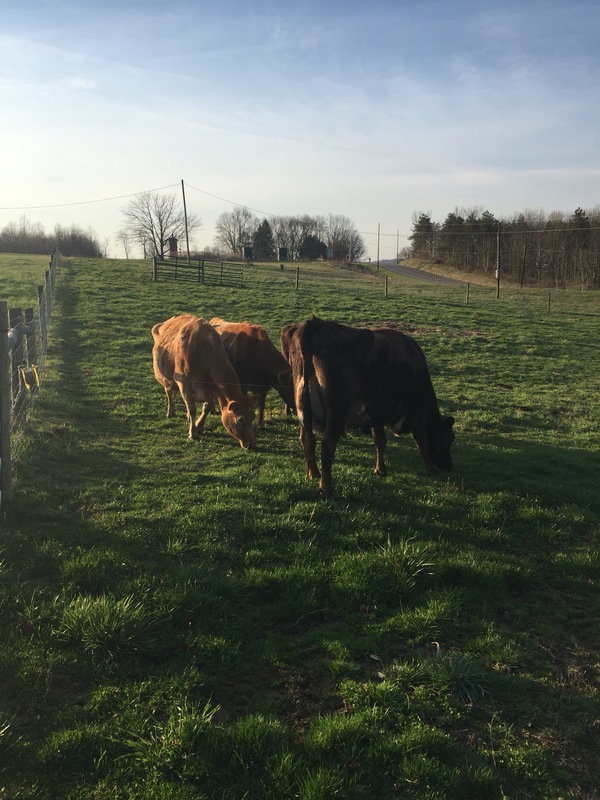 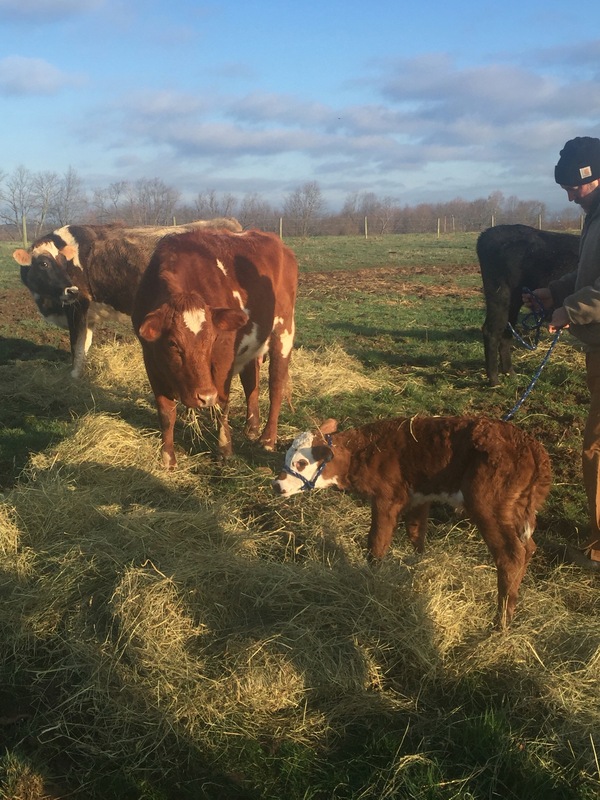 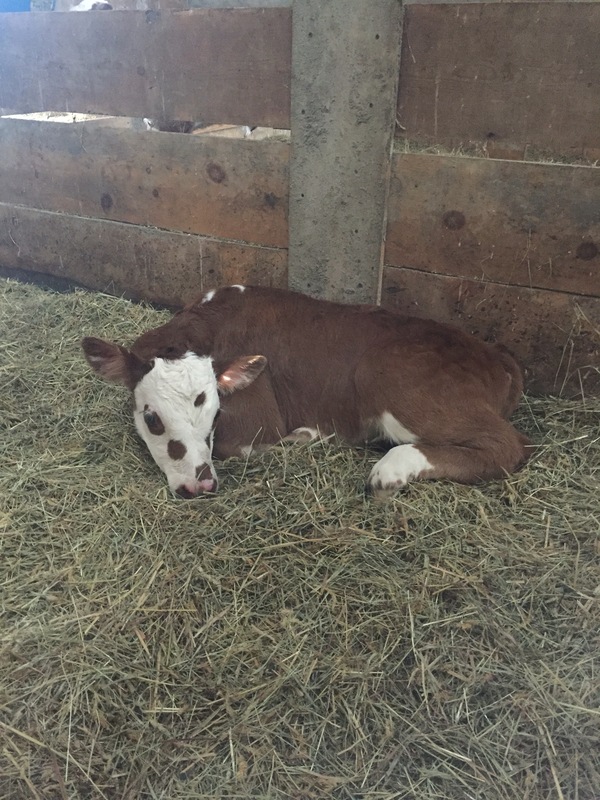 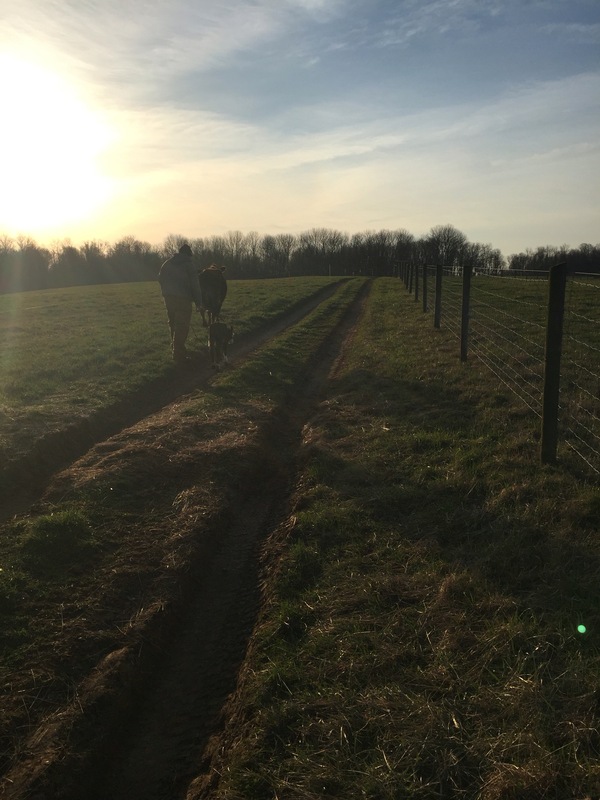 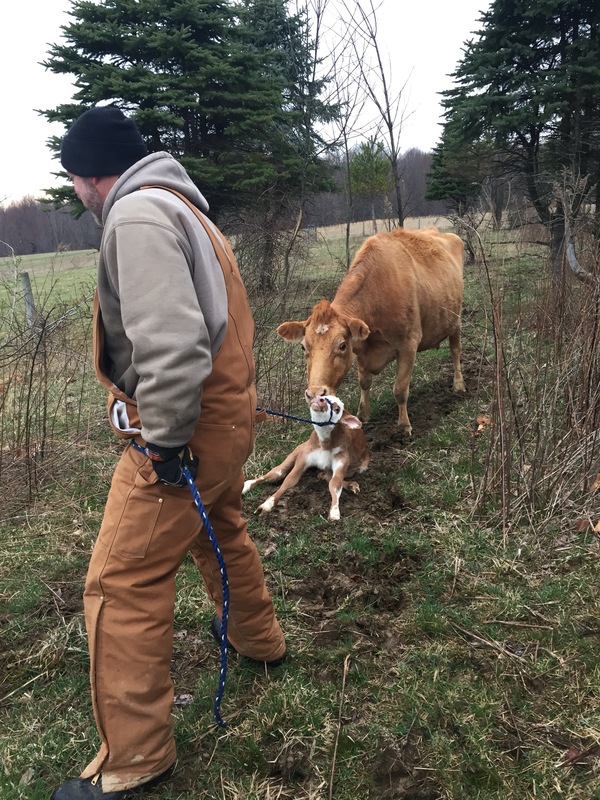 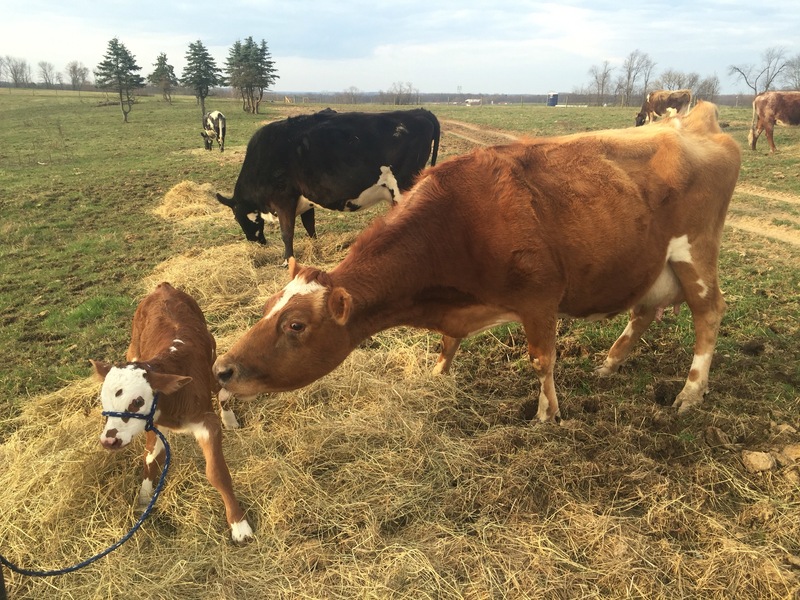 Well, yesterday morning, Cookie couldn’t stand up.🙁 She tried, but was super woggle-ey… That’s not “normal”, so before we went up to bring down Gluey+calf, we made the decision to place an emergency call to our vet’s office in Sugarcreek. 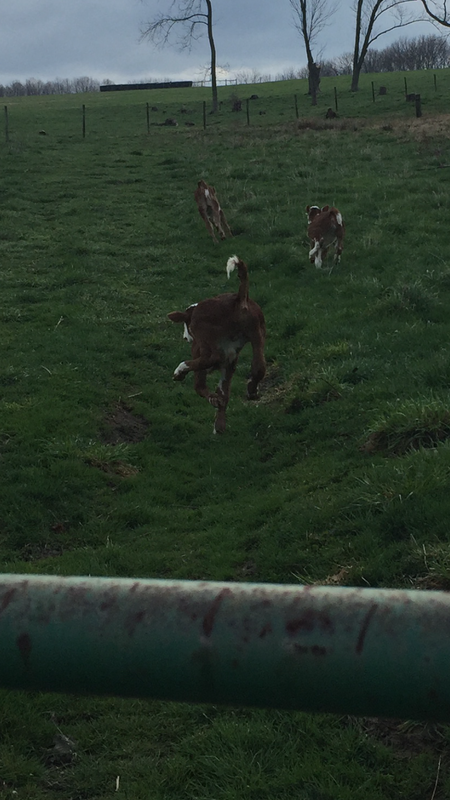 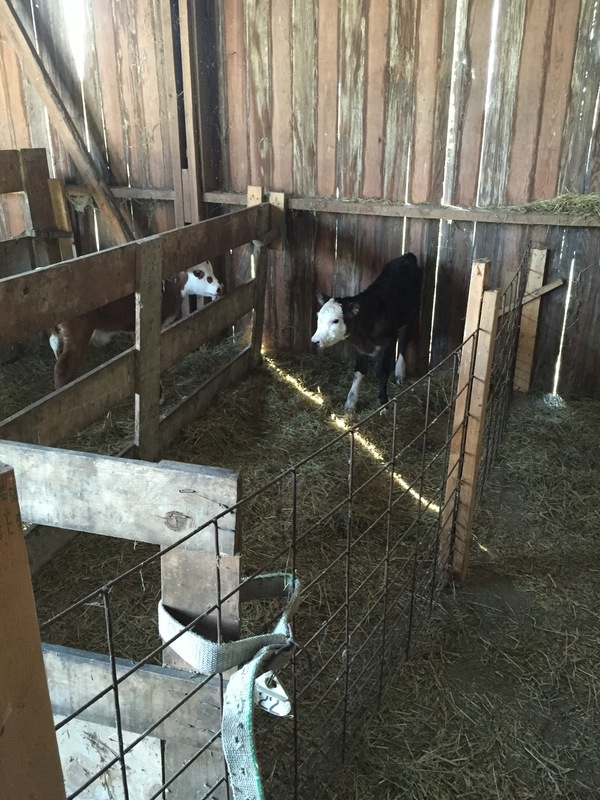 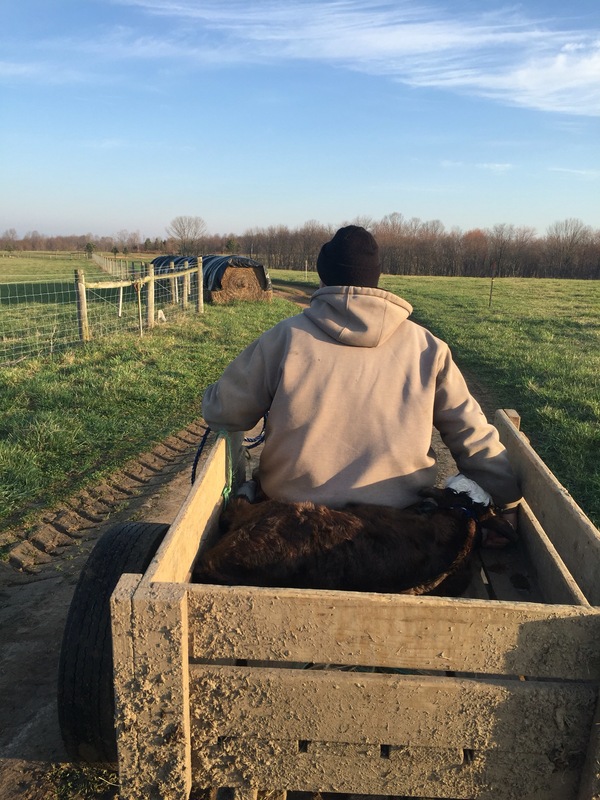 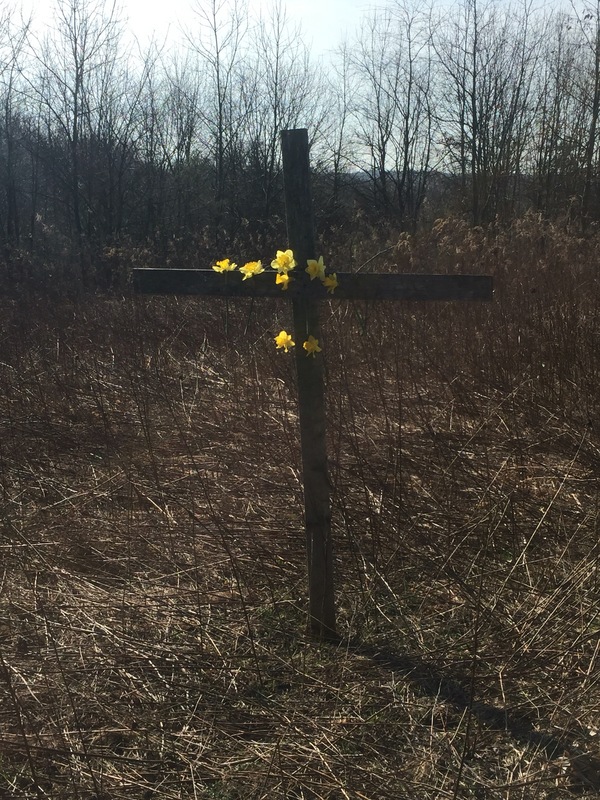 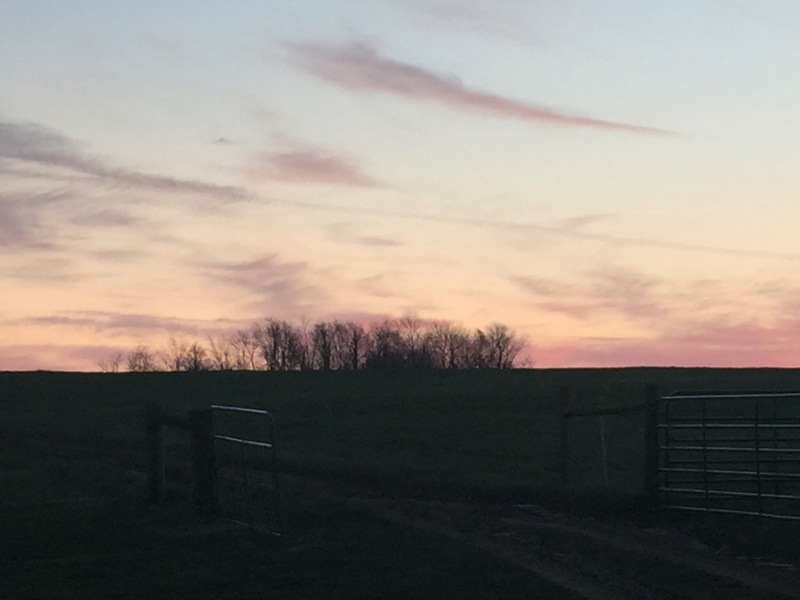 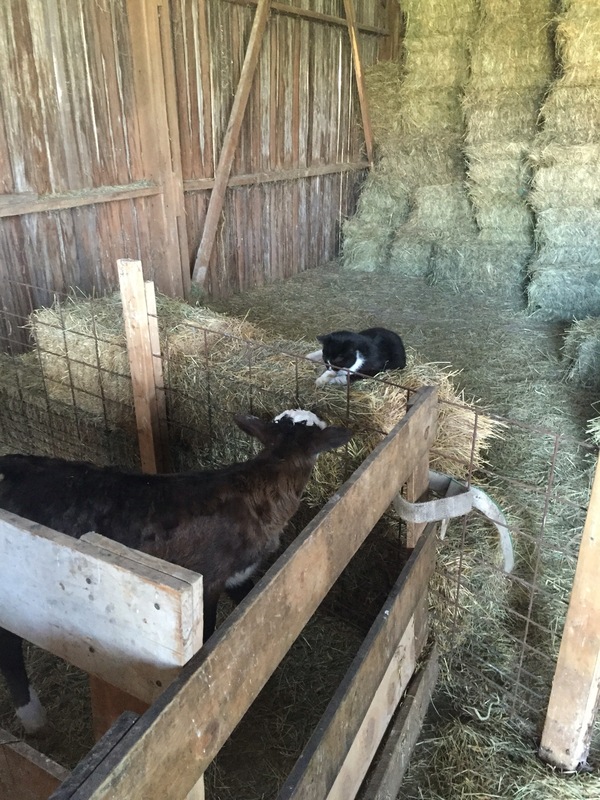 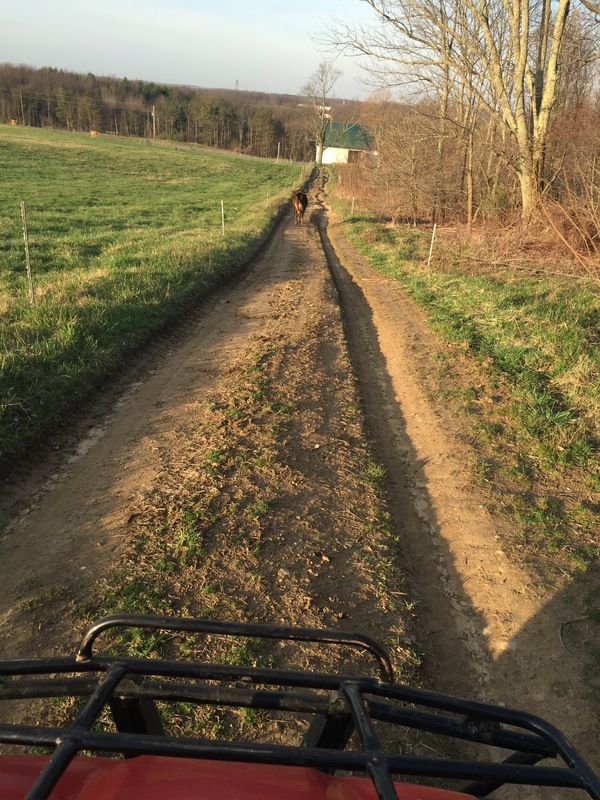 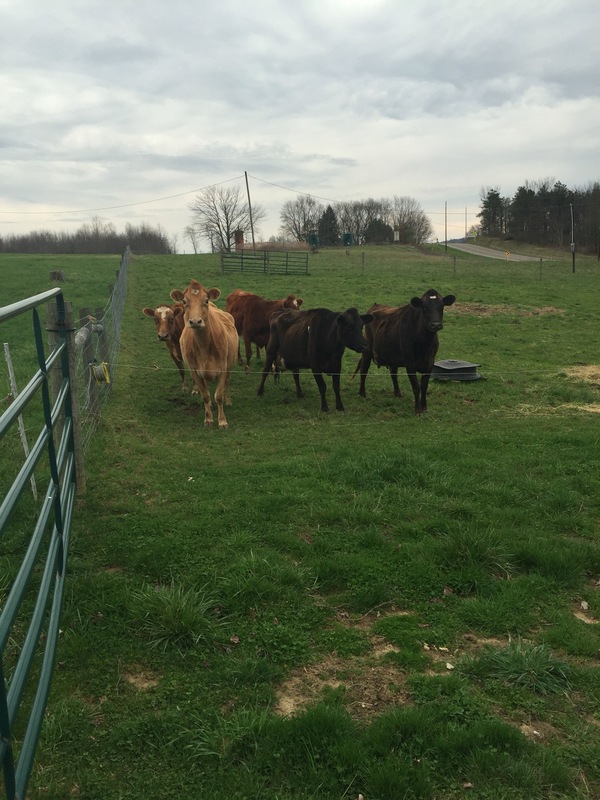 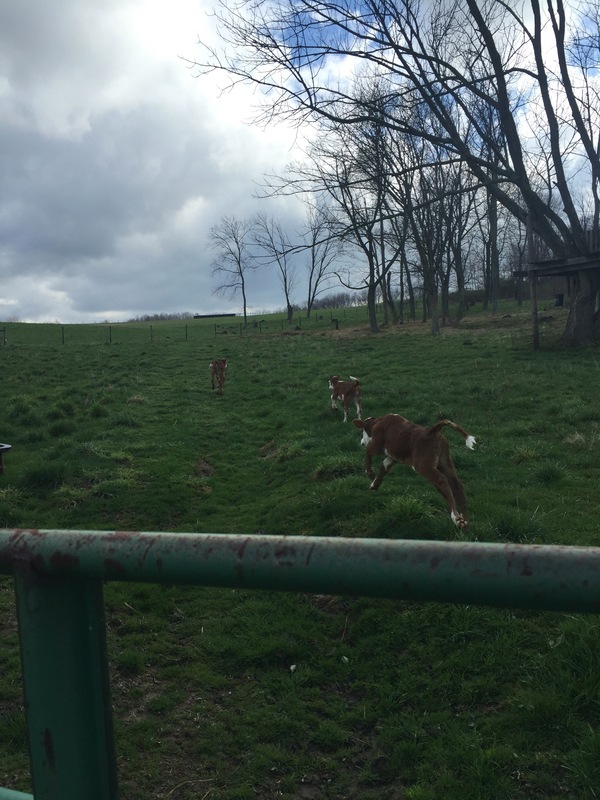 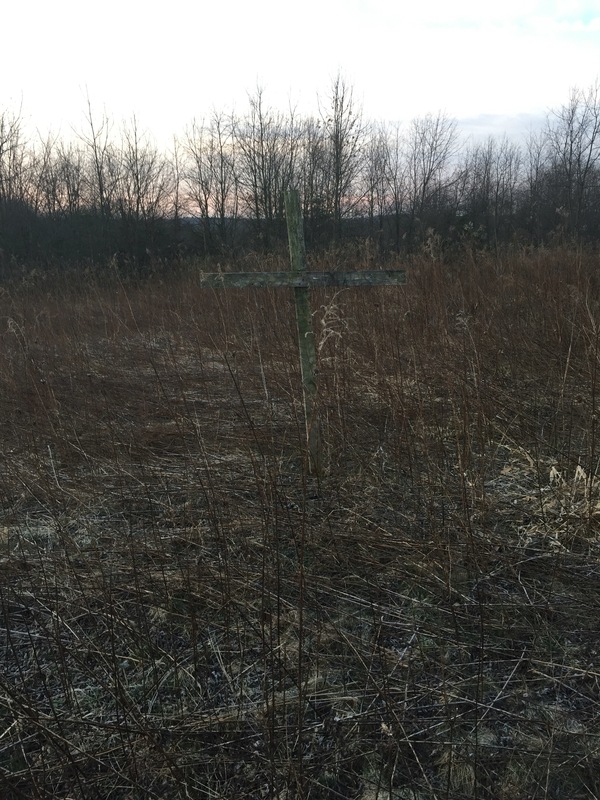 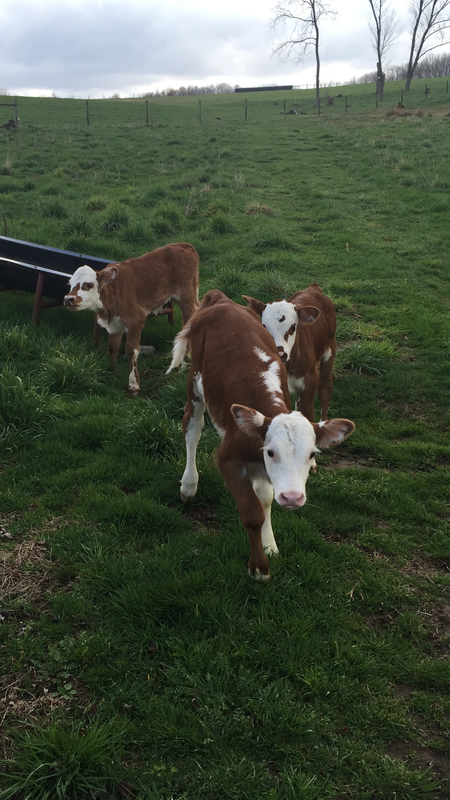 This entry was posted in Family, Farm, Nature on March 20, 2016 by Dawn Roberts.